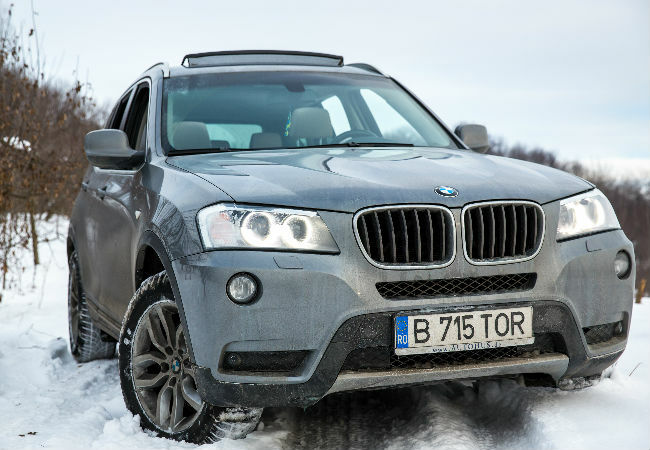 Trying to find the best luxury SUVs for winter driving in the Swiss Alps? 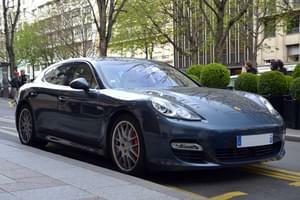 Take your pick from our round-up of ultimate marques including the Porsche Cayenne. 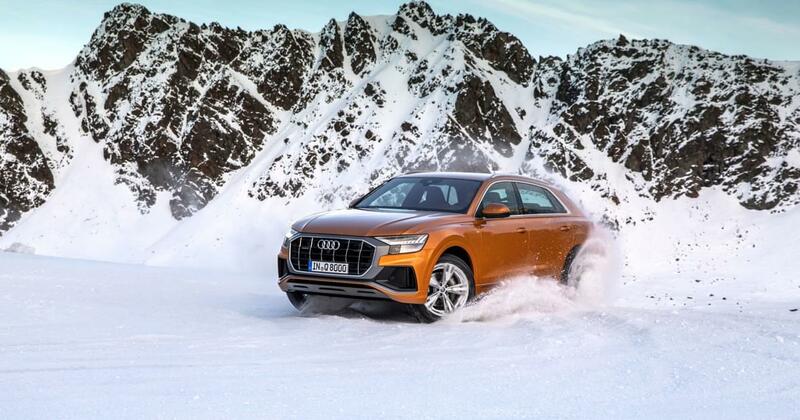 Audi Q8 and Range Rover Sport. These luxury vehicle rentals boast the latest high-tech driver assist systems without compromising on comfort and driver satisfaction. Join us for a virtual test drive! 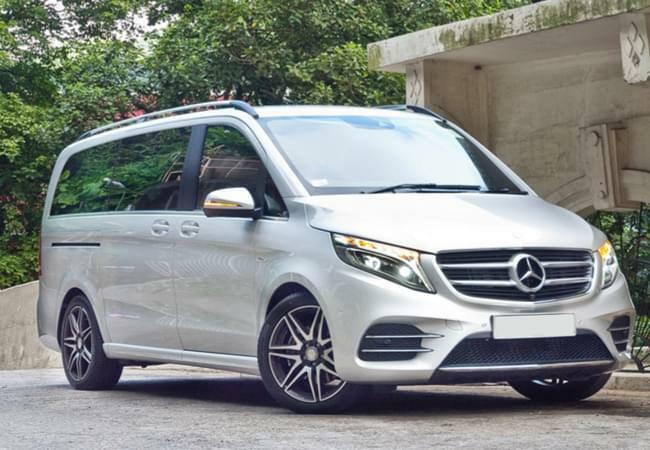 Enjoy a Black Forest family road trip in a stunning Mercedes V-Class. Start in Munich and drive to Heidelberg, Baden Baden, Freiburg, Freudenstadt and Titisee-Neustadt. Explore the most amazing scenic routes, learn about the history and culture of the region and eat delectable traditional food. 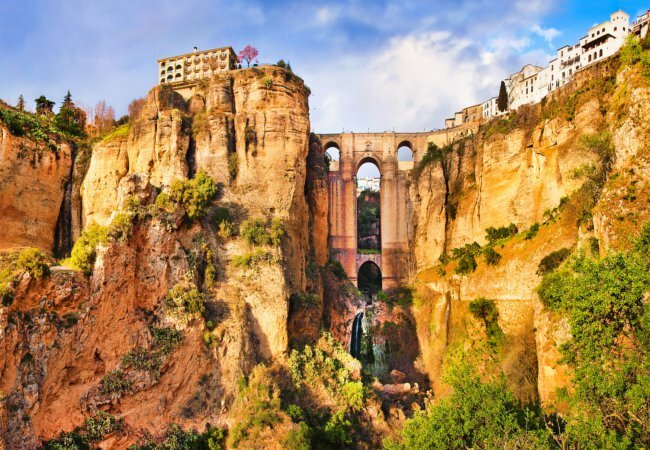 This region is famous for cheese, cake, cuckoo clocks and awe-inspiring scenery. 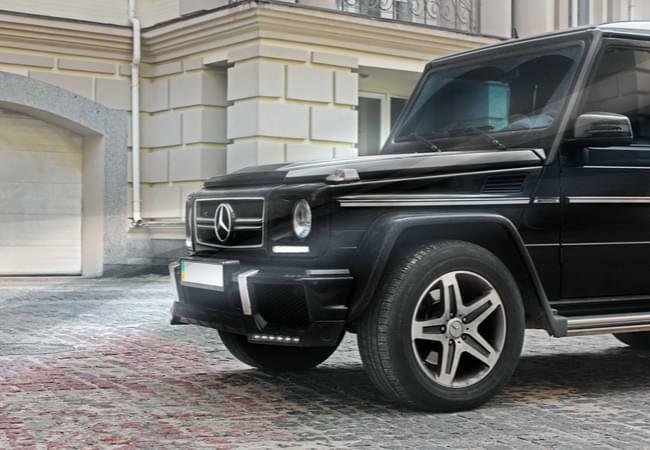 Spend time in the vibrant city of Hamburg with elite class when you rent a Mercedes G63 AMG SUV. You can drive your high-performance vehicle through the Old Town or head to any of the neighboring cities for some exploration. 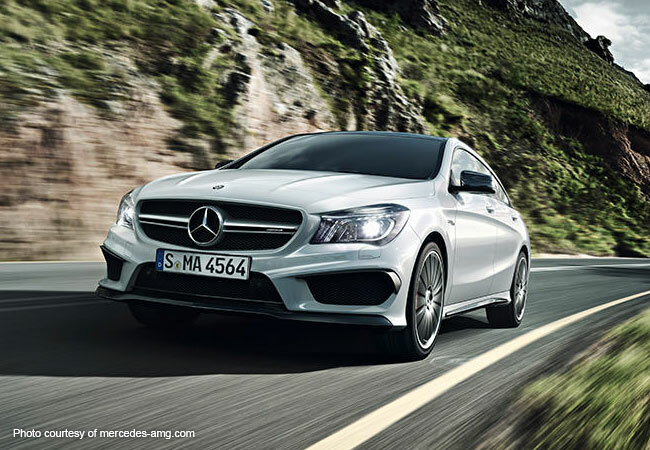 This exciting summer journey is complete with the spacious comforts and high-end amenities of your Mercedes rental. 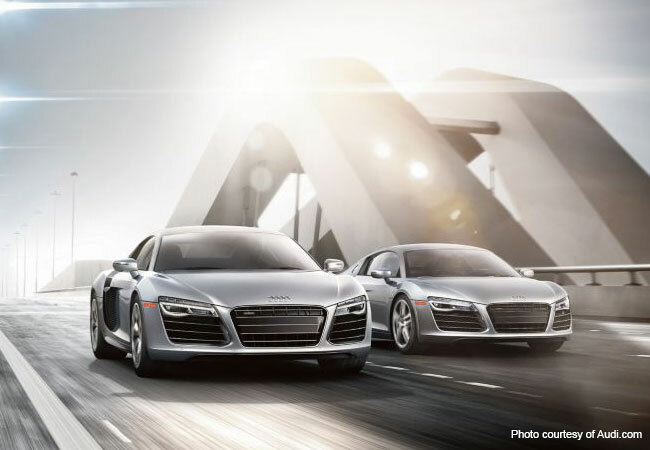 Head out into the open countryside of Germany when you rent a luxury Audi R8 from Berlin. 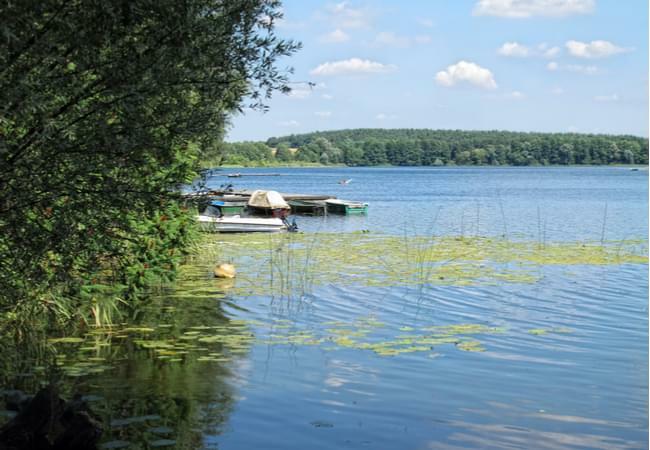 Drive your high-powered sports car on the Autobahn, through the city of Berlin or to any of the neighboring villages for a fun-filled summer vacation. 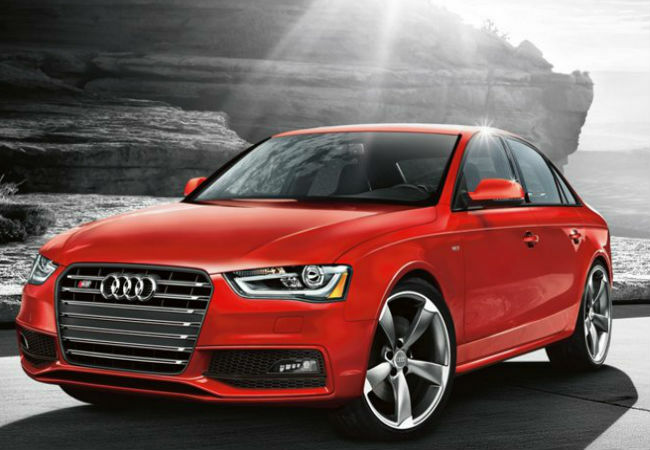 With your elite Audi rental, all of Germany is your playground; filled with adventure and thrills sure to excite. The Frankfurt Motor Show 2017 presented the most advanced car models from Audi, BMW, Bentley, Mercedes-Benz and more. 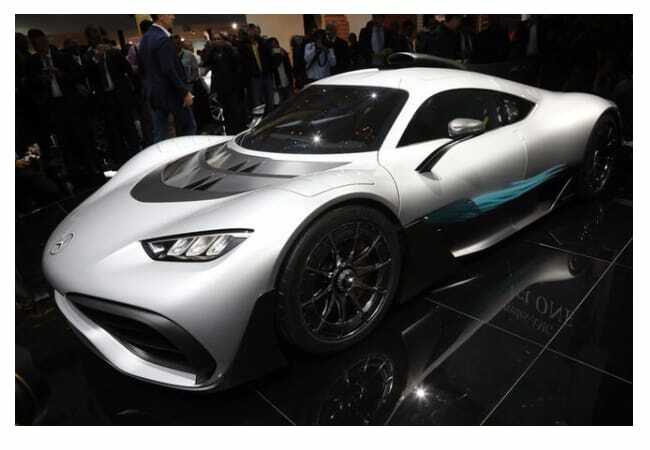 Here is our pick of the six most impressive vehicles: the Mercedes AMG Project ONE, Audi R8, Jaguar I Pace eTrophy, Bentley Continental GT, Mercedes S 560 and Land Rover SVX. Chase the sun with your Audi S5 Cabriolet as you take a 2-day cruise around Paris and the countryside. 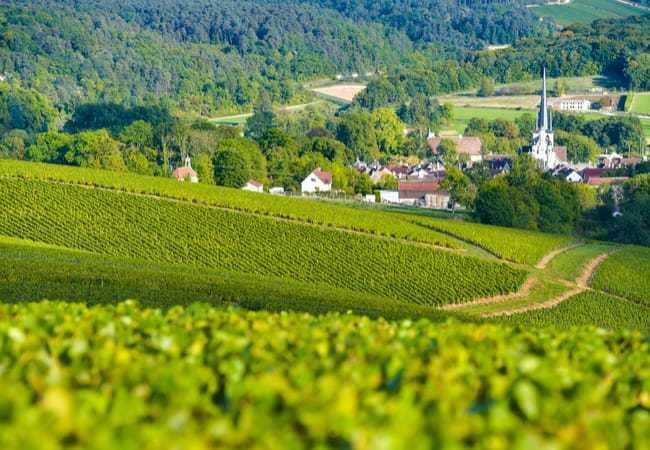 Explore the Champagne region learning how the beverage is made before jetting off to the coast for a magnificent sunset view. Follow along and see how to spend a 2-day journey navigating the parks and quaint towns only a few hours from Paris. Experience pure exhilaration as you cruise the coast in the newest Ford Mustang convertible. Leaving Malaga, follow along as she heads east through quaint coastal towns before spinning north to catch some of Spain’s best-kept secrets. Feel the adrenaline-pumping performance driving the Costa del Sol in search of first-class food and entertainment. 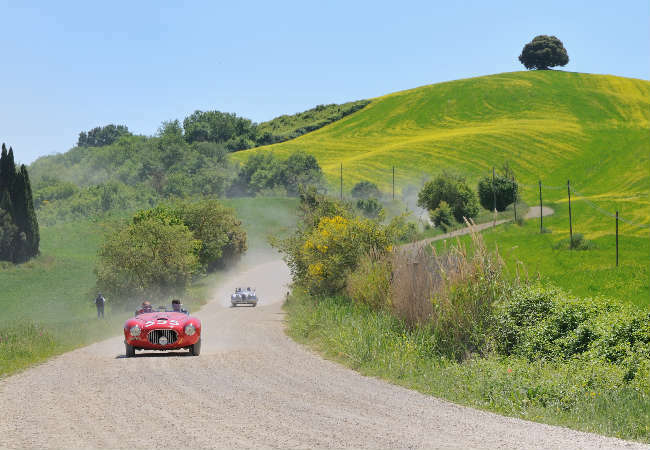 Combine your two passions, for luxury driving and “la Dolce Vita” in Italy with this outstanding two day tour. 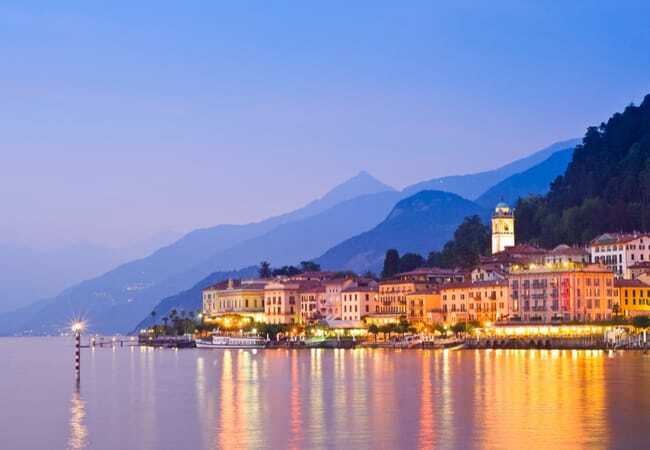 Take a Ferrari California T in Milan and drive to the city of Como, nestled between the Alps and Lake Como to experience a thrilling road trip through scenic landscapes, picturesque hilly villages and the opportunity to taste delicious local dishes. 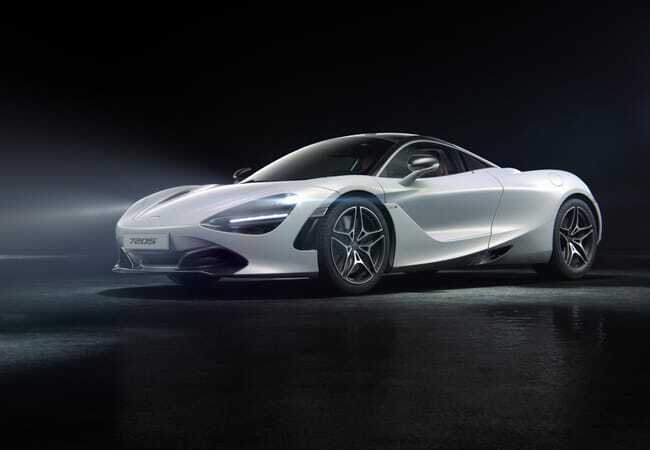 The latest Geneva Motor Show 2017 unveiled real gems of fantastic, most advanced supercars such as the Ferrari 812 Superfast, McLaren 720S, Porsche 911 GT3 and others. We were impressed by the Mercedes-AMG GT Concept and looking forward to see this four door coupe in our luxury fleet, but had our breath taken with the stunning McLaren 720S. 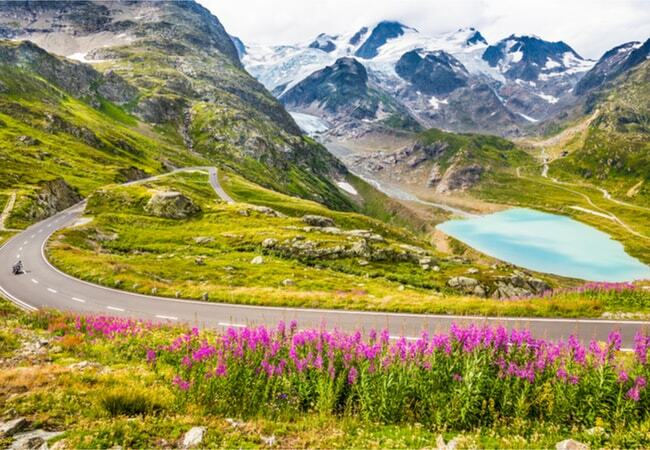 If you're looking for the perfect winter escape or planning your summer vacation, the German Alpine Road in the South of Germany should be your first choice. 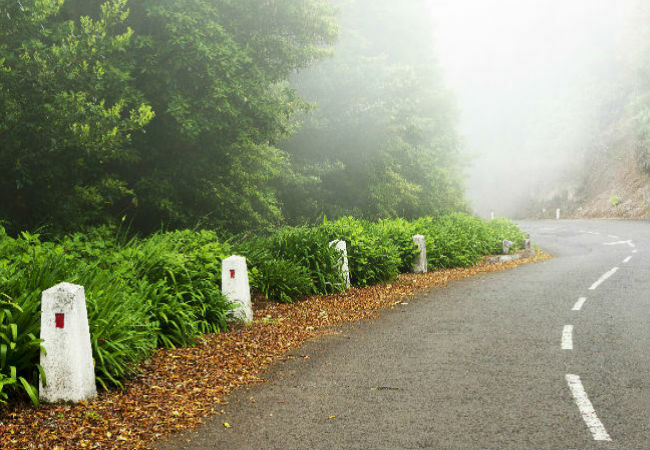 Stretching along 450 km, this car route will take you along world’s most scenic drives and breathtaking scenery. Start from Munich, finish at Salzburg and in between allow yourself 3 days of freedom to embrace nature, heights and the velocity of a luxury car. Join us in the route of snow-capped peaks, enchanting lakes and flower-filled pastures. 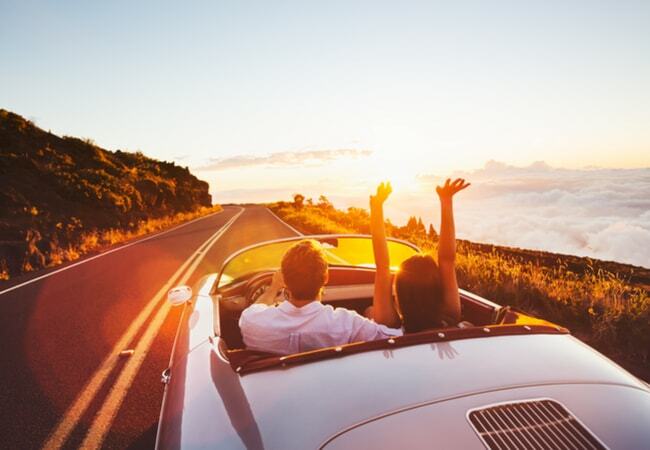 Cabriolet Rentals are Not Just for Summer Sun! Surprising as it may sound, cabrios work well not only in the summer months, but during winter and spring as well. Sharpen your senses as you drive a cabrio through the European winter - you can see, smell and feel the road with an unparalleled driving experience. Here are some tips for coping with winter in a cabrio, come rain, snow or shine, as well as six popular cabriolet choices for your winter getaway. Luxury cars continue to evolve and so does our fleet of hire cars! Our eyes are set on five of the best luxury cars due for launch in 2017. 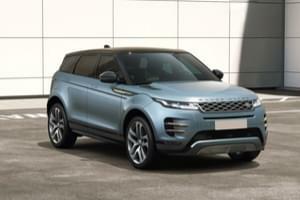 Check them out on our “virtual” Motor Show as we look at a cross-section of the latest models. The round-up includes sleek Mercedes S-class and sporty Maserati Levante GTS as well as the fastest new kid on the block – the Ferrari F12 M.
Summer is all about getting on the road and touring through some of Normandy’s idyllic villages, historic sites and unspoilt countryside. 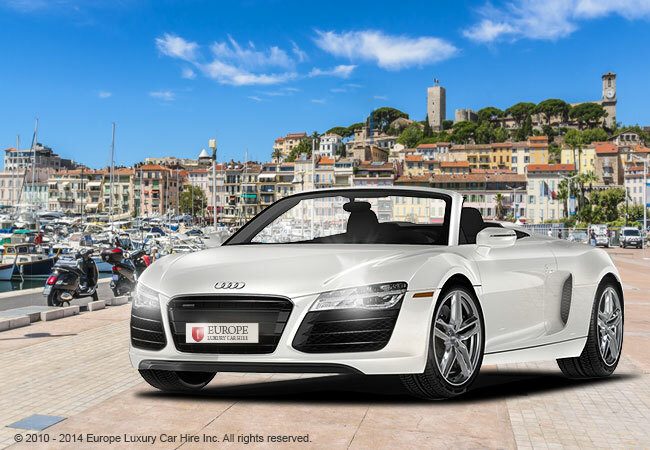 Pick up your newly launched Audi R8 Spyder and follow the Seine Valley from Paris to coastal Honfleur. This superb route combines the pleasure of the drive with gastronomic delights and as much history and art as you wish to take in along the way. 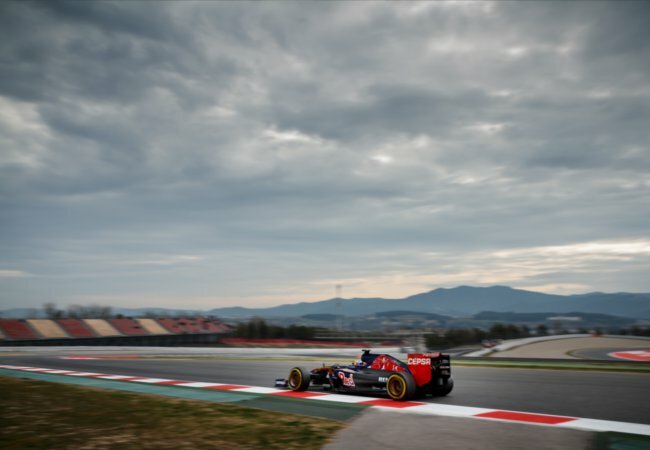 This past month we saw Formula One return to the hallowed grounds of the Italian Grand Prix in Monza. The spiritual home of Ferrari, it many ways it felt like a returning to the roots of Formula One racing. 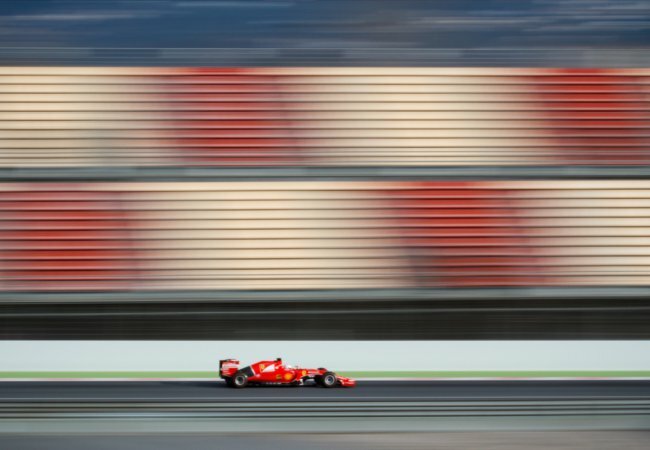 Indeed Formula One belongs to Ferrari, as Ferrari belongs to Formula One. The marque of the galloping stallion has the longest history with the league, has won the most number of races and has the largest budget of nearly $300 million. 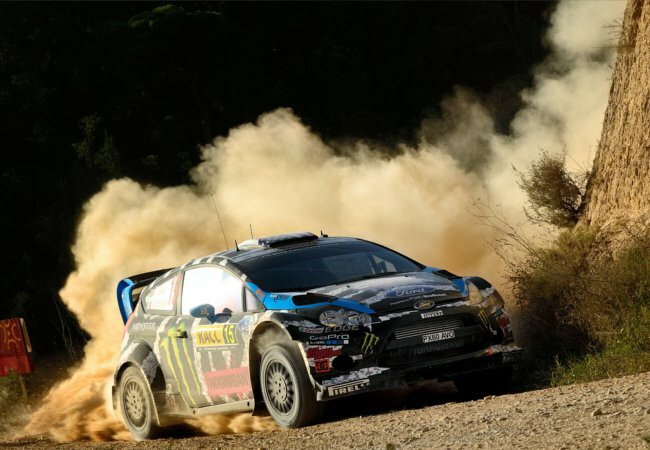 Otherwise known as ‘Autotesting’ in the United Kingdom or ‘MotorKhana’ in Australia and New Zealand, Gymkhana refers to racing a car through a series of obstacles in the shortest time possible. Utterly incredible to watch, the sport is rapidly becoming the motor world’s biggest craze particularly in Japan and the United States. Race Cars Vs Sports Cars? Game on! The difference between driving race cars and sports cars is fundamental. The power, handling, weight and sound is all different, granted sometimes the radio can be similar. 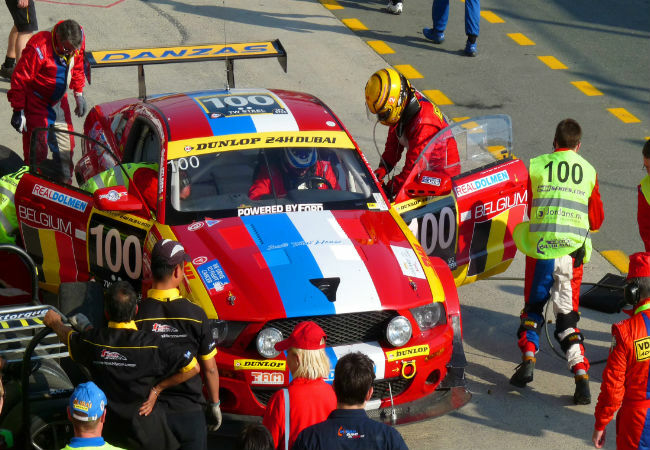 With some input from racing drivers we have identified a list of key differences between the car you really just want to race and the car you really just want to be seen driving. 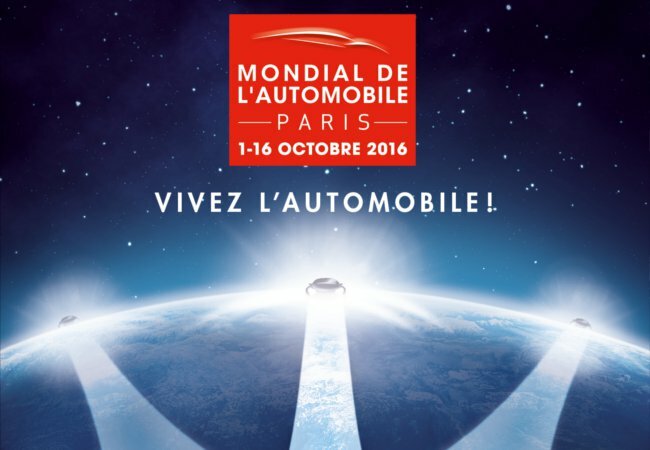 The annual Paris Motor Show has put its focus on showcasing the latest tech to enter the automotive arena. At the risk of not being original, we suppose the organisers of the Mondial de l'Automobile felt there is just too much to talk about in relation to new technology, that it couldn’t go ignored. We take a look at the cars that presented some of the most eyebrow raising technology and new initiatives being planned and schemed on the show grounds. The luxury car you prefer to drive may well be predetermined by the year you were born. By looking at the generational differentiators of Traditionalist, Baby Boomer, Generation X and Generation Y (or Millennials), We take a look at each of these generations by identifying the cars they tend to rent most, and try and think why these specific cars appeal to each of them. So which luxury car were you born to drive? 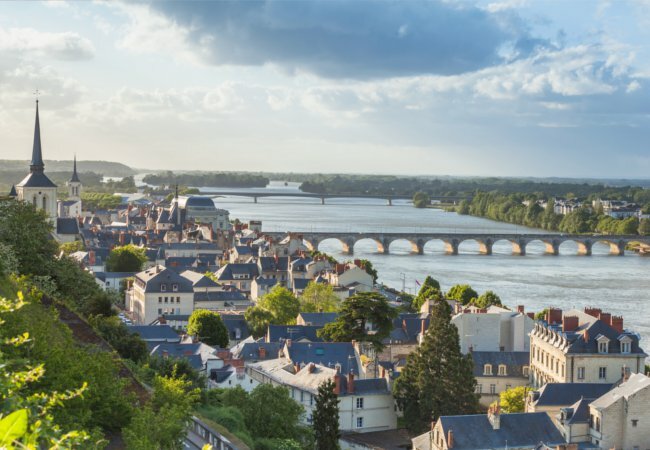 We have prepared a driver’s guide for a road trip through the Loire Valley. From behind the wheel of a super stylish Ferrari you can arrive at some of the most remote and tucked away gems of the Loire Valley. But at other times, you may just want to be able to walk around exploring secreted nooks and crannies at your leisure. The trick of course is knowing how to do it right and that’s where this guide comes in. 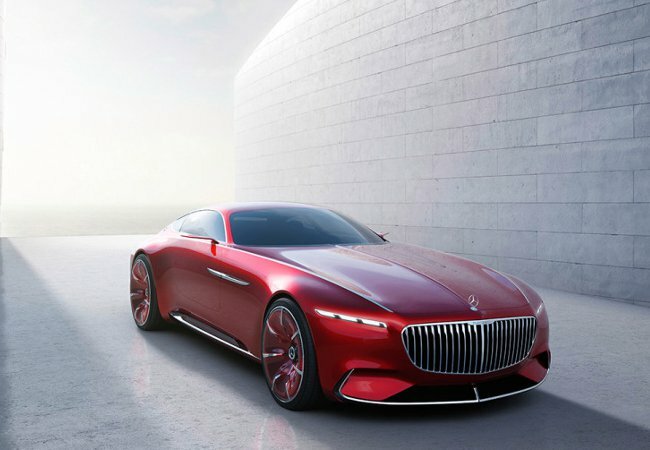 Possessing a design that is intended to represent the ultimate in automotive luxury, the Vision Mercedes Maybach 6 has both hot and cool elements, leaving you feeling desirous throughout. The “hot” elements refer to the sensual and emotional design, while the “cool” elements refer to the car’s technological intelligence. Leaving no battery cylinder or etch of fabric untouched, the Mercedes Maybach Vision 6 is pushing forward the frontiers of automotive luxury on every score. With the potential for both success and resounding failure, luxury car brands have been experimenting with creating brand extensions. With products like handbags from Bentley, menswear from Maserati and fountain pens from Lamborghini, brand extensions have the potential to generate both additional revenue and increase brand visibility. 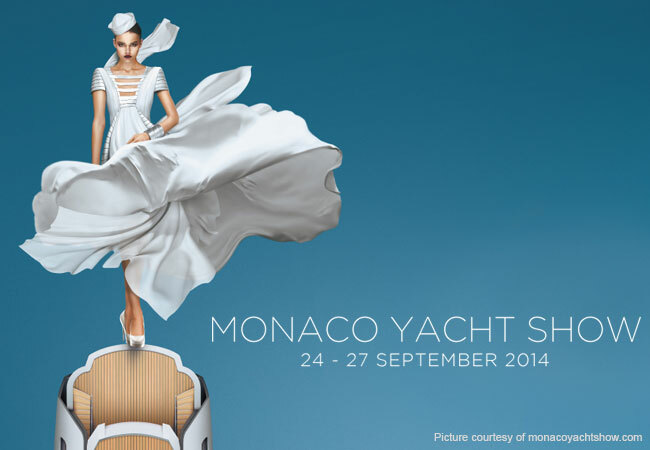 About to launch its 26th event, this year the Monaco Yacht Show will be hosting 125 extraordinary superyachts. 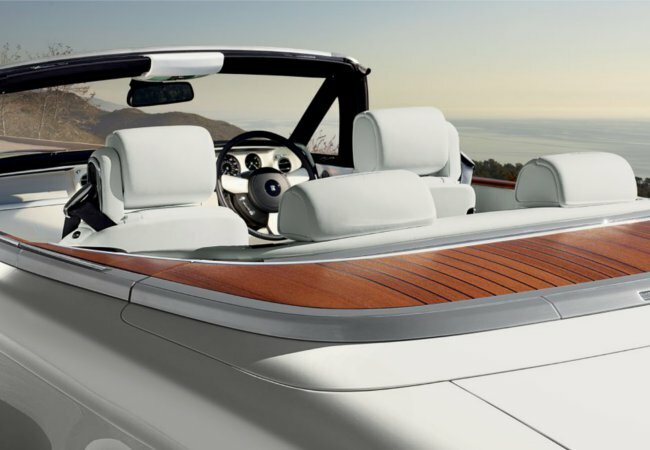 All of which are one off models, designed and constructed by the world’s most prestigious shipyards. 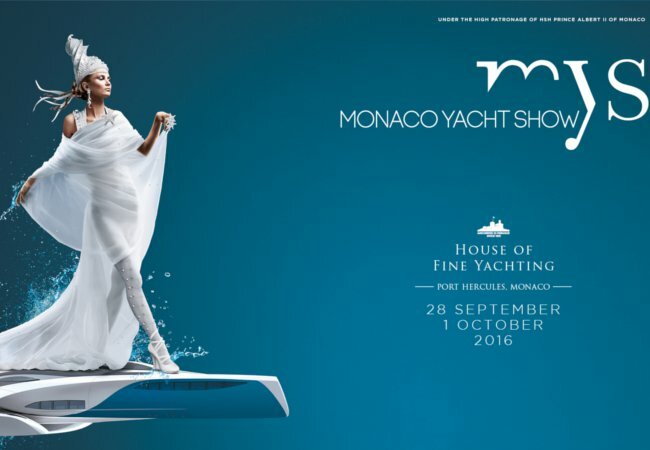 This year the landmark calendar event brings together 580 exhibiting companies that present their most innovative superyacht builders and designers. 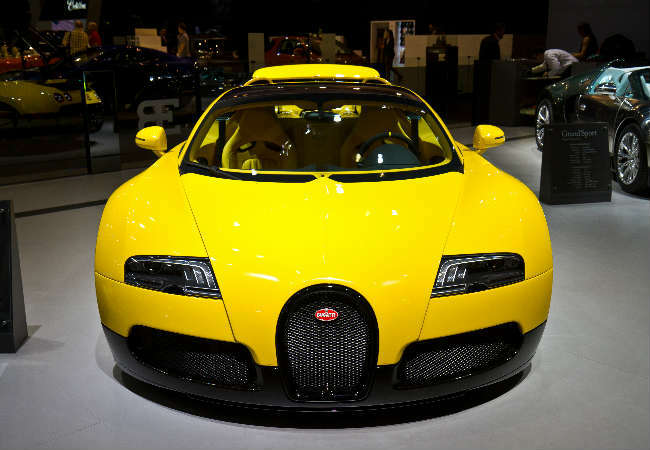 Always innovating, 2016 also brings new and welcome additions to the show that include supercar marques amidst the wider showcase of luxury manufacturers and reputable brokerage firms. While driving a Ferrari can be a long held dream it is often anticipated with trepidation. Aside from the fear of dying in debt, should you ever as much as put a scratch on the car, the car’s grander proportions and exhilarating speeds, can start to appear intimidating, rather than exciting. 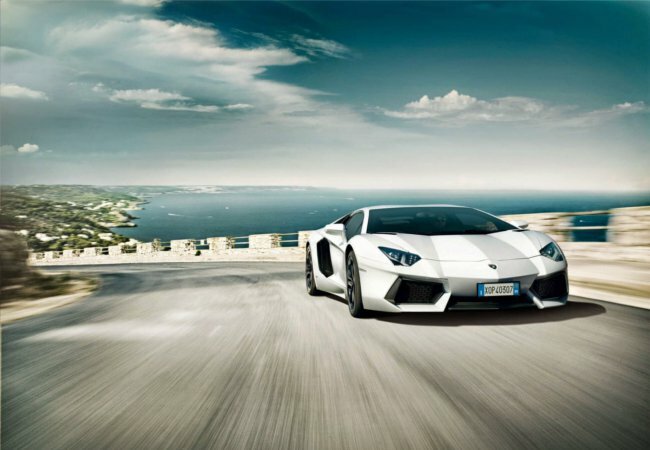 If driving a powerful supercar is a dream of yours, but you share these same hesitations, read on, as these are some useful tips to overcome the fear driving a luxury car. It’s true. People lose their hearts whilst driving along the winding roads that hug the cliff side of the Amalfi coast. 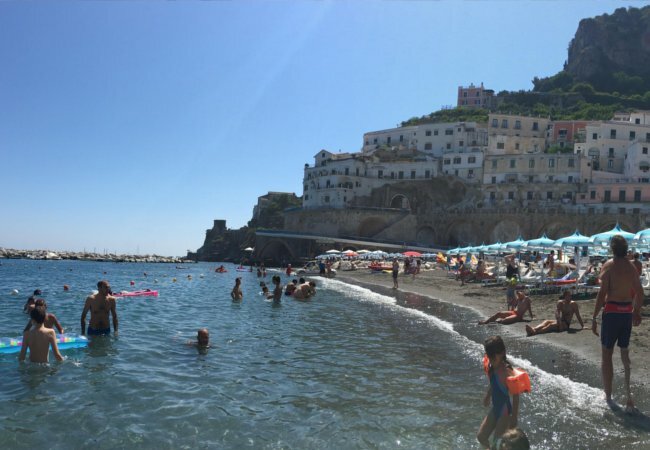 Our primary case study involves a young lady, who travelled along the Amalfi coast and has since reported having lost her heart there. With a retinue of primary evidence that includes photographs, a stunning sun lit tan and a perpetual smile on her face, the case is now officially closed. As we were taking a vacation to Germany this summer, we thought we would see if Airbnb had anything exciting on offer that would fit our bill. Admittedly, because we have become too well acquainted with the finer things in life, we didn’t want to have to compromise on luxury, but at the same time we wanted something that would feel exotic, local and interesting and all at once. So here is a list of places that best incited our curiosity. When you can’t go over it and you can’t go under it, You’ve got to go through it!”.By that we mean boring through kilometers and kilometers of hard rock and granite to build some of the longest road tunnels in Europe, if not the world. 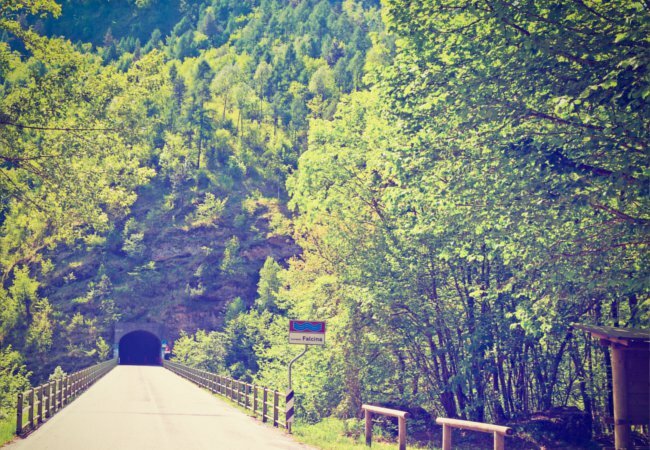 Here is a quick list of our favourite road tunnels in Europe that are nothing short of sensational to drive through in a ravishing sports car, where the sound of the engine reverberates with acoustic drama off the walls. 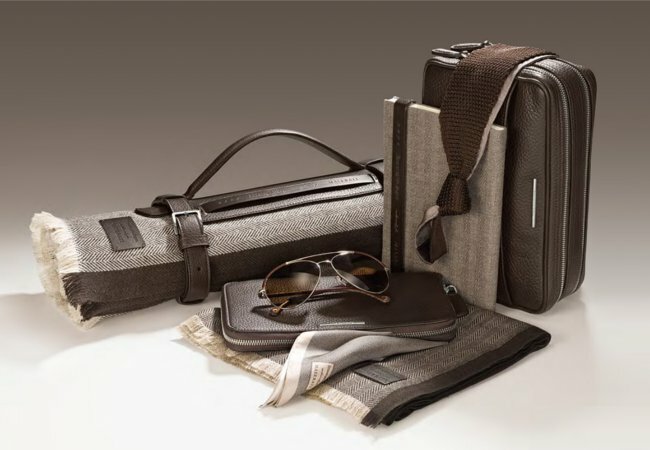 While the idea of “men’s fashion” seems an oxymoron for most men I know, the world of men’s fashion has seen a trend for prestigious luxury cars to open flagship stores that sell high end fashion wear, accessories, watches and collectibles. 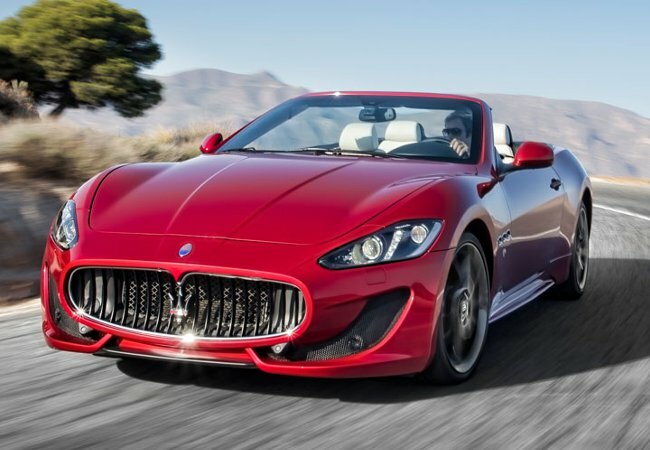 Sporting styles that are masculine, athletic and tied into the image of the most exclusive sports cars, I take a look at 3 top Italian marques of Ferrari, Lamborghini and Maserati to see what sort of haute couture they have on offer. In that once-in-a-lifetime and couldn’t-believe-this-actually-happens scenario, I came into a windfall of 80,000€ that I was tasked to spend in a journey from Munich to Florence. 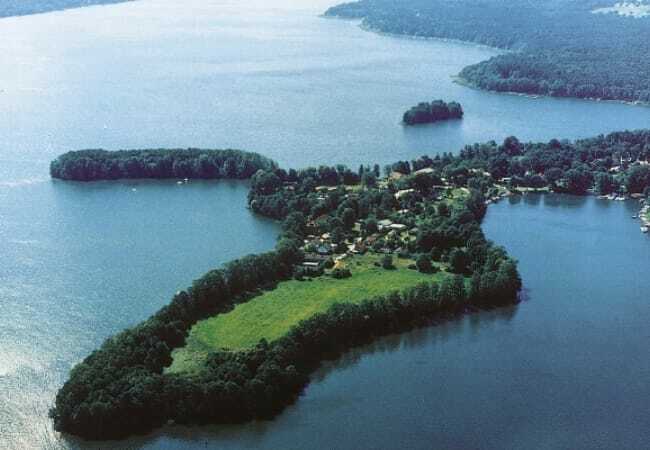 At first blush that doesn’t seem too hard, I mean this neck of the European woods is afterall not known for its humble and meagre lifestyle. But then on second glance with a reading of the conditions attached, I quickly realised that expiring 80K on a road of over 800 km may become a considerable challenge. 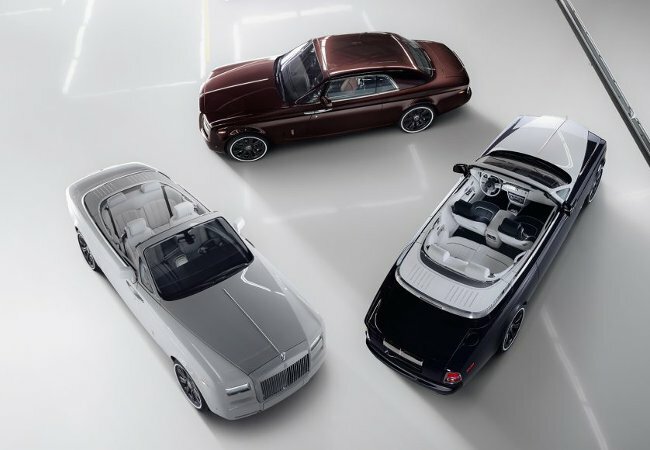 The individual models of the Phantom, Ghost and Wraith, each bearing the same prestigious chrome edifice of the “Spirit of Ecstasy” that is launching forward at the tip of its bonnet, appear to hold as much exclusivity as the next. We therefore asked our previous clients why they chose to rent their preferred model of Rolls Royce? 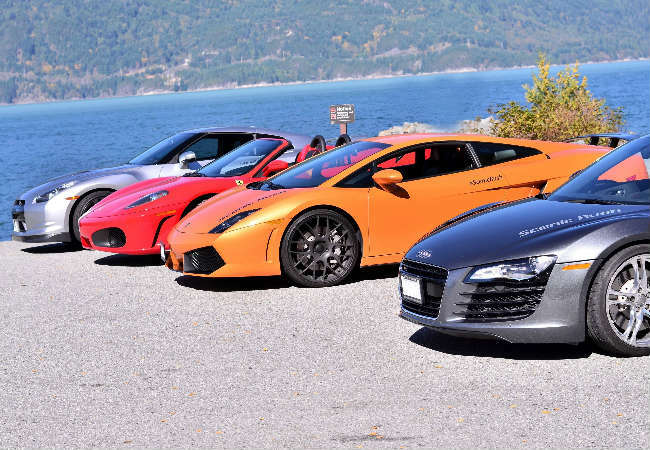 Combine romance and exotic fast cars for the ultimate holiday experience! Paris the City of Love, awaits. Nestling under the imposing Eiffel Tower she is waiting for you to discover her in a bold red Lamborghini Aventador LP 700-4. 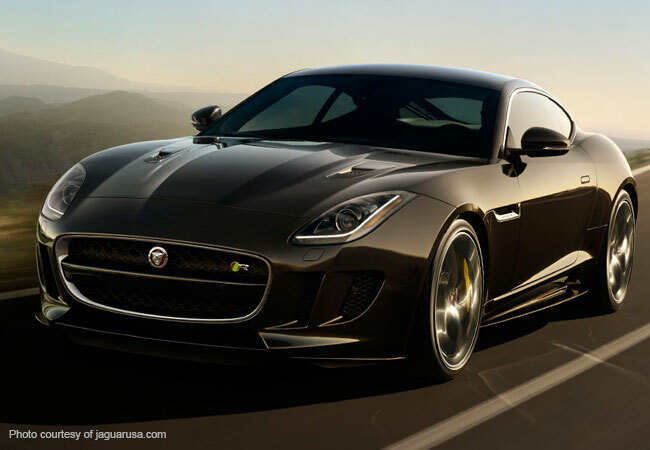 This stunning car offers curvaceous sleek lines, creating a perfect balance of sportiness and elegance. 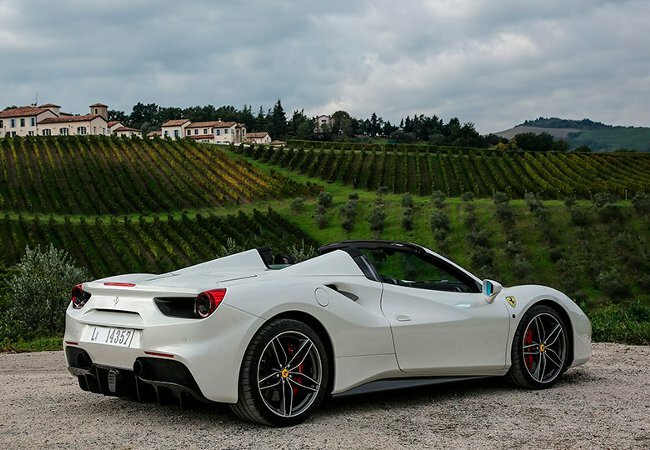 Rent a fabulous eye-candy Ferrari F430 Spider in Rome or an exclusive Ferrari 458 Italia Oakley Design in Montreux of Switzerland which will enchant with its luxury chalets, classically refined restaurants and fabulous views. Germany boasts a rich tradition of more than 2,000 years of viticultural customs that over the course of time has developed into quality oriented vineyard practices. This combined with the local state-of-the-art cellar technology, tends to put Germany and her spectacular wine selections at the vanguard of the winemaking world. Driving a Porsche convertible rental we take a look at Germany’s most popular wine growing regions as we seek to uncover the secret source behind their success. 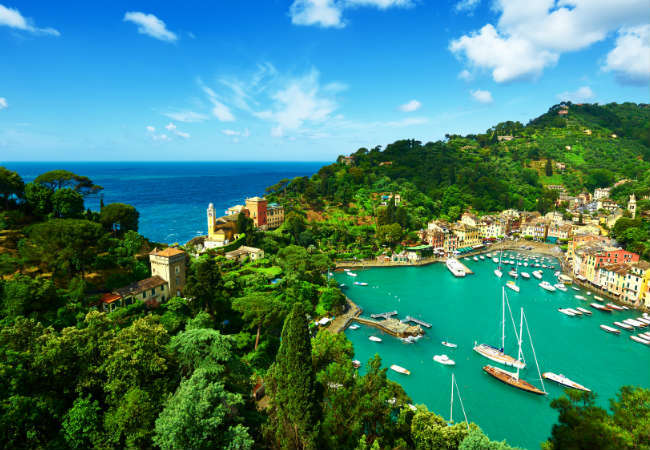 Welcome back to the second part of my journey as I cross the border into Italy and follow the coastal road that trails along the beautiful Italian Riviera. In this journey we discover Italy’s answer to the French Riviera. Tucked between translucent turquoise seas and the rays of a soothing sun, it is encountered with lazy days and sensual nights. Cruising around in a sleek white Ferrari is certainly a way to show that you have arrived. But, these cars are not just for showing off! You have a desire for speed and what better way to experience the full corrupting power of this beauty, than on the racetracks of Monza? Breathtaking opportunities are available for you to learn and experience supercar racing with world class drivers in a controlled and exclusive environment in Monza. For the scenic pleasure, the automotive delight or the escape from mundane life, five of our clients give us their personal account on their most favourite drives. The reasons for the drive tend to be as vast as the cars they select and the locations they set out to explore. 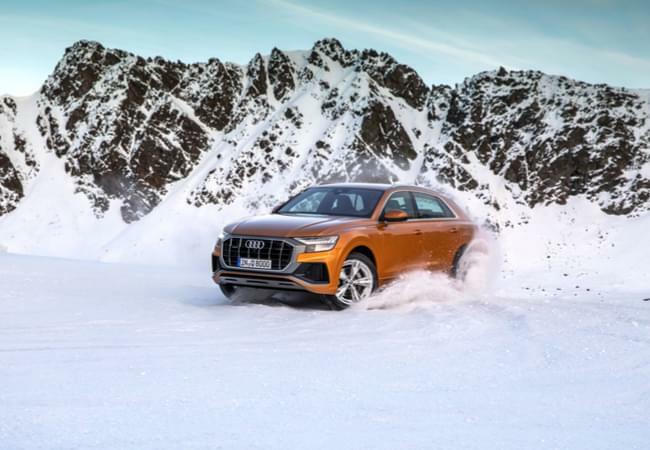 Yet what they do have in common, is that a luxury car that chases the breeze on Europe’s most picturesque mountain passeses never ceases to capture their avid fascination. With all the air of casual sophistication, cozy elegance and laid-back luxury I drove along the French Riviera with an unparalleled sense of freedom in an open top, Bentley Continental GTC whipping the breeze in every stride and turn. I commenced in Cannes and visited each of those French jewels of Antibes, St. Paul de Vence, Jean Cap Ferrat and then Monaco that each lie on the string of the sunshine splashed Riviera coastline. Going to the beach should be all about the serenity, soaking up the sunshine, relishing the expanse of clear blue skies and relaxing, letting time just wash by. The problem is when it’s not all these things, but filled with throngs of crowds, with too much noise and not enough space. Here is our list of Europe’s most secretive, and not coincidentally most beautiful beaches. To ensure that your visit to the sea side continues to be as serene and relaxing as it should be. Cuisine and Culture are almost synonymous in Italy. Over centuries Italian cuisine has evolved directly from social and political changes, with roots that stretch as far back as antiquity. In our tour of the south coast of Italy driving a luxury Lamborghini Sportscar, we explore this interconnection between Italy’s rich layers of food and culture. 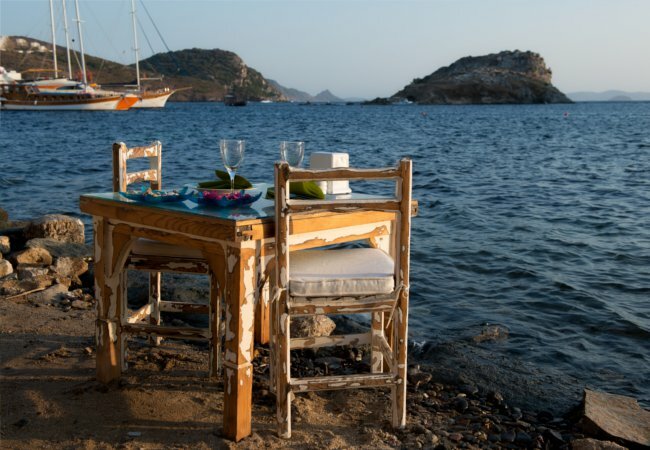 Visiting many of the iconic landmarks and tasting the traditional cuisine prepared by the experts themselves. By all accounts the Beijing Auto Show is set to be a hit, possessing the perfect cocktail mix of evolutionary groundbreaking new cars, spread through over 220,000 square meters of the ultra modern China International Exhibition Center and all spiced up with stunning girls on the ground. While the media gets a sneak preview a few days earlier than the rest, gates will open to the public on April 29th through to May 4th. The opportunity to drive a Porsche in its national home grounds of Germany is exceptionally exciting, even taking on significant religious proportions for many of us. 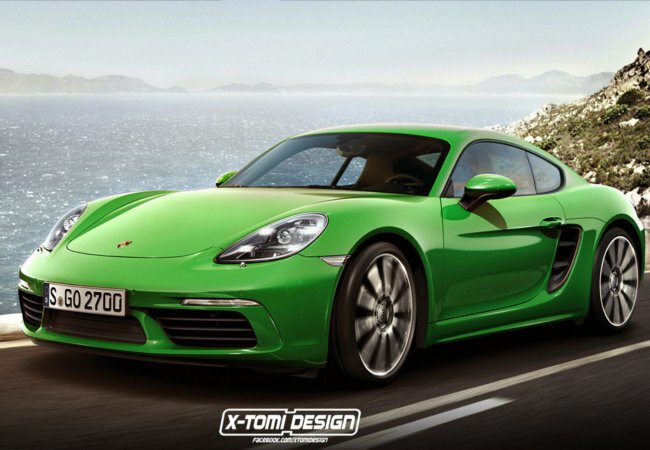 Porsche is after all a German icon. 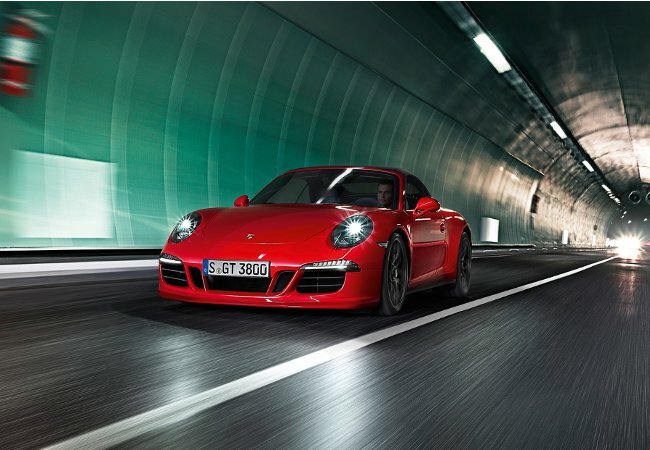 Having led the way in luxury motoring, performance and innovation, the Porsche represents a pinnacle of Germany’s prestigious legacy in car manufacturing. 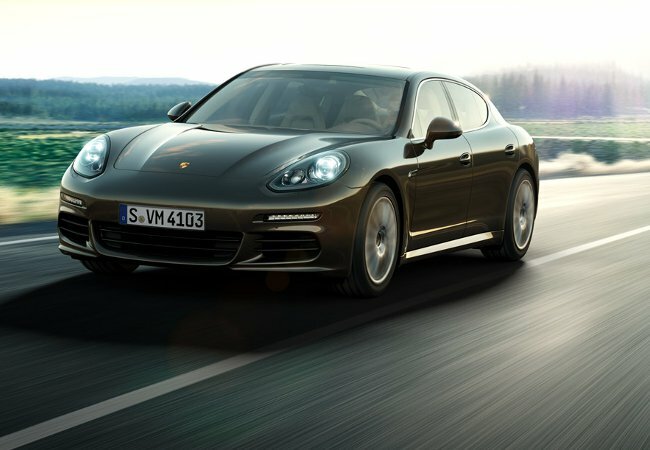 The Porsche belongs to Germany as much as Germany belongs to the Porsche. While there are a lot of drag races that pitch cars against each other, very rarely are they evenly matched in terms of their engineering design and high performance driving capability. 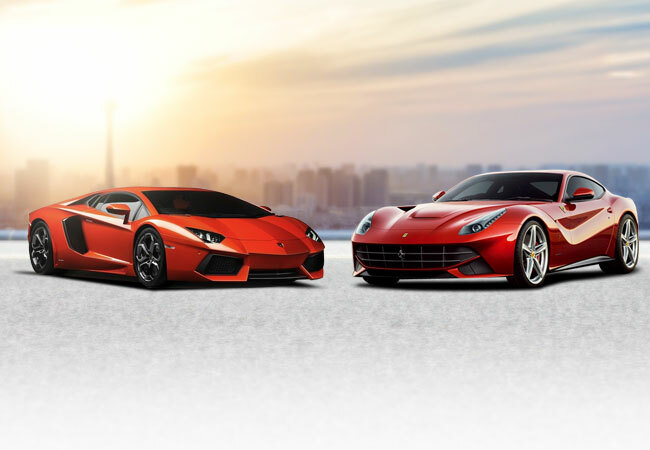 But this race between the Ferrari F12 Berlinetta and the Lamborghini Aventador, makes a stiff competition between two exceptionally high performing supercars, that are both top of the range within their respective marques. 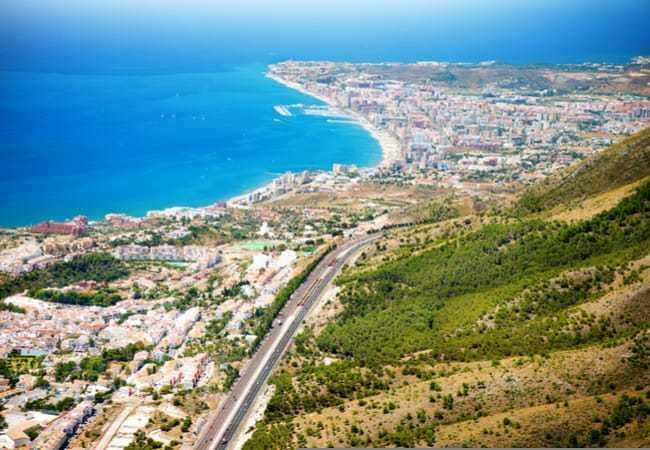 Start your journey of the Costa del Sol in Malaga, whilst Malaga does not represent the start of the 54 km stretch of sunshine coast, it represents the easiest destination in which to launch yourself. Upon arriving at Pablo Ruiz Picasso Airport, a luxury convertible rental of your choice will be ready and waiting for you. For my travels, I selected the sparkling pearl white Bentley Continental GTC that reflected the glimmer of the sunshine coast with a certain magic. For those suffering with a bad case of wanderlust finding the ideal rewards program becomes the absolute necessity. 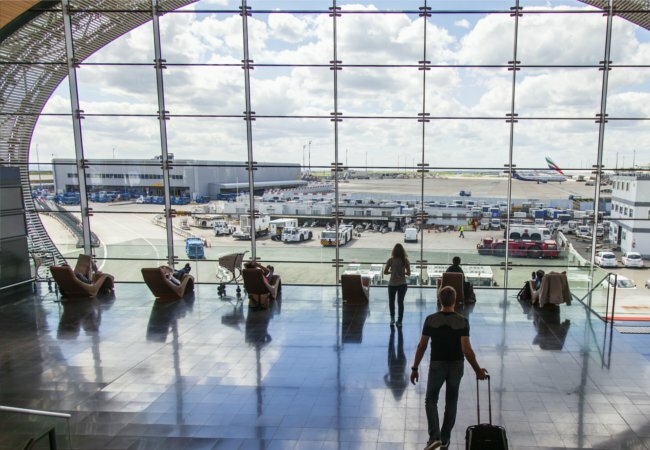 But often the search for the best frequent flyer program becomes a journey in itself, only of the much more tedious kind. Times have moved on, and what was once good for the goose is no longer good for the gander. Indeed, finding the best rewards program draws on a consideration of your individual travelling needs. From the outside looking in, Grace did live the fairytale life with a vibrant acting career that was in full bloom just before marrying her charming Prince Rainier. Grace was also a great contributor to the arts, a fashion trend setter and known for her many years of dedicated philanthropic work. But a look under the surface reveals a woman who was torn between loves; of that towards her husband and her acting career. While word on the street is that Rome is best discovered by foot, that may well be true, if you don’t mind restricting yourself to just Rome’s historic antiquities quarter of the Colosseo. But, discovering Rome in a Ferrari is an opportunity that just can’t be beat as the uniqueness of the experience confronts you with the supercar’s passionate need for speed and the roar of its engine. But hey, if you want to walk that’s cool, it’s totally up to you. Germany may well be universally acknowledged as a nation where proprietary, efficiency and pragmatism rule the day. 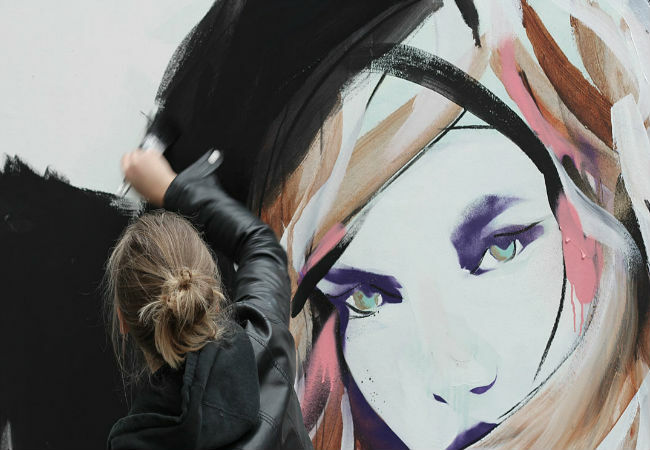 In this light, Munich can often appear as a solitary outpost of chaotic creativity. In the case where “imagination is the only weapon we have in the war against the hum-drum of reality”, I’m glad to report this battle front is alive and well in the city of Munich. Munich abounds in almost countless venues where you can easily combat any sense of the expected and predictable. For the Geneva International Motor Show, 2016 marks the event’s 86th year, and the formation of a legacy that is as impressive as many of the supercars that they have hosted. Since the event’s first launch in 1905, where the Clement with its groundbreaking 4 cylinder configuration was showcased, the 2016 event is expected to hosts hundreds of cars across the 106,000 square meters of the Palexpo grounds. Ski by day and sip cocktails by night. Sounds good doesn’t it? Run down the hills of a Bavarian ski resort to your heart’s content all day long and then drive into the city of Munich to enjoy all the trendy nightlife that this cosmopolitan city has to offer. 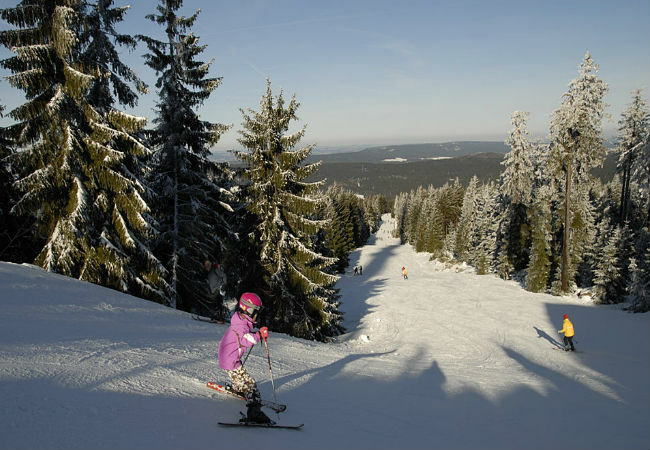 Munich continues to enjoy popularity as a gateway to much of Germany’s top ski resorts. 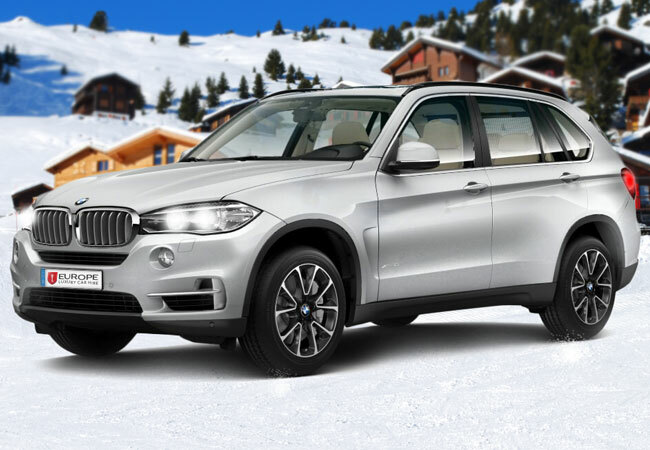 Hire a luxury BMW SUV on your arrival into the city of Munich, to get onboard for a sensational ski holiday. 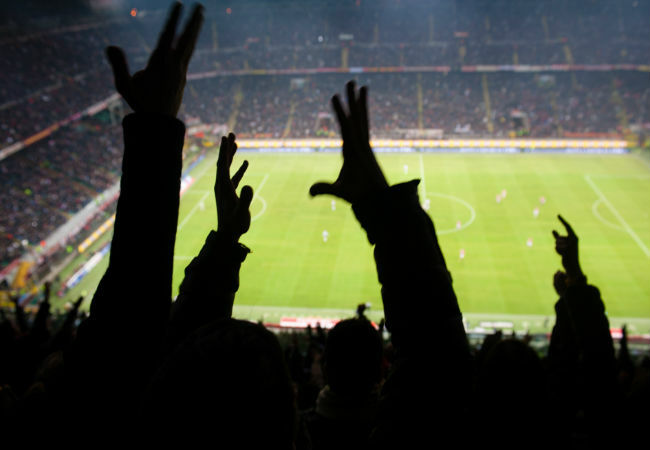 For any dedicated fanatic, a football tour of Italy is a must. When it comes to football, passion is the fashion in Italy. No more so noticeable than when Italy’s Squadra Azzurra is playing another country and the stadium is awash in green, white and red. 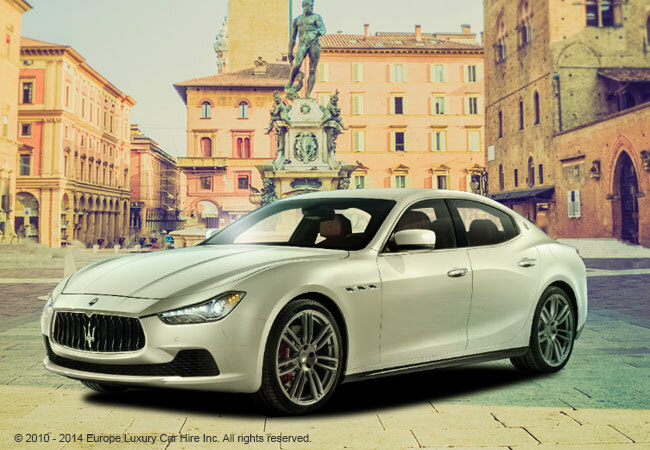 Rent an iconic Italian sports car, such as as the Maserati GranTurismo Sport and take the ultimate football tour of Italy. The well regarded automotive industry expert, Kelley Blue Book has just released its ‘Best Safety Rated Sedans of 2016’. The list prioritised features such as crash test rating, EPA estimates and from consumer ratings gathered through the KBB website. Out of the 42 cars granted this status by KBB, we have shortlisted this to best luxury safety cars of 2016. 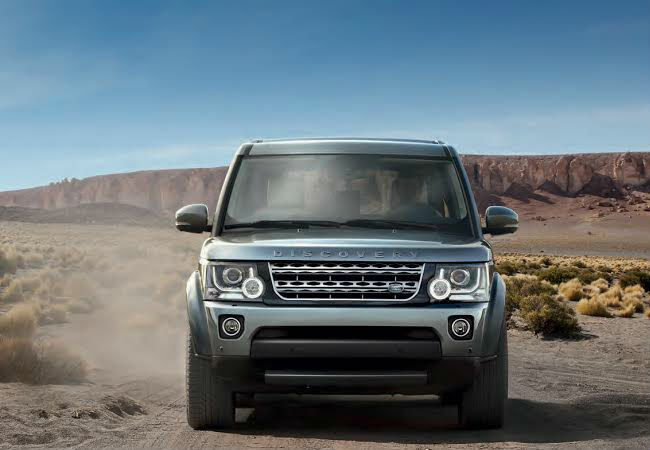 Offering both top tier safety standards and elite luxury features. 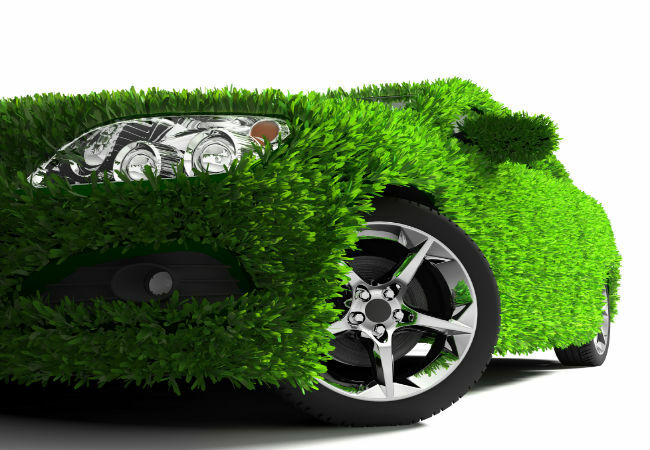 2016 seems to herald a great variety of green cars that are now on the market with different features, technologies and designs. Ready to be scooped up as they appeal in unique ways to every whim and fancy. Check out our favourite top three green cars that we expect will continue on this path of shaking up the automotive world, and do so in fantastic fashion. Audi has just kindly graced the world with its next version of the R8. A superb vehicle, that although is not going to arrive in anyone’s garage anytime before 2016, has already gotten a lot of people talking. Yet, while the specs certainly look good, it’s the intimate experience with the car that meets the precise point of curiosity. 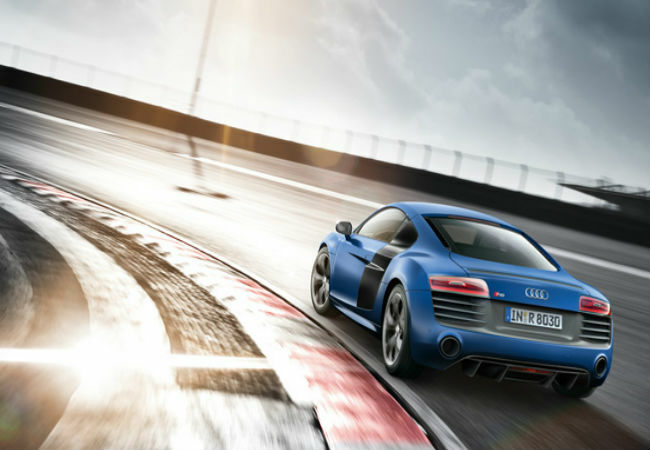 We therefore recruited Luxuria’s own, in-house automotive experts to give us the low down of their experience getting acquainted with the new Audi R8. Okay, so Christmas was last month but still, we’re holding onto this festive season wave for as long as we can with this list of super cool toys. Admittedly, it’s a case of thrills for dills. We’re not going to lie, these toys are not of the educational variety and won’t make you any smarter. But then who cares?? They are extremely fun and exciting. Representing the pinnacle of German car manufacturing, Porsche leads the way in motoring luxury, performance, and innovation. But does driving a Porsche on its home ground add an extra sparkle to the Porsche driving experience? We think so, and for that reason we have found four fantastic reasons to get behind the wheel and experience the ultimate thrill of driving a Porsche in Germany. A motorbike journey through the back street roads of Southern Europe is most definitely an experience for the bucket list. With the most beautiful scenery of wildlife, little towns and villages that dot the way and the beer tap that’s pouring at local taverns surrounded by friendly locals who love nothing more than a good yarn or two. 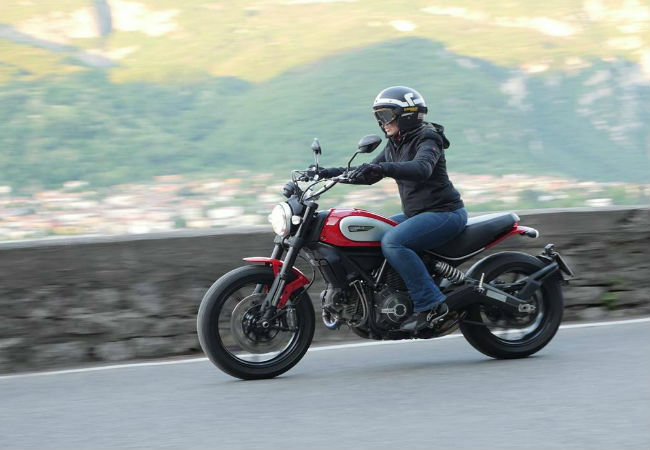 We’re planning the epic motorbike trip through France and Italy. This is going to be all about you and the road and the big wide open. It’s getting chilly outside and that of course means that Christmas shopping season is finally here. 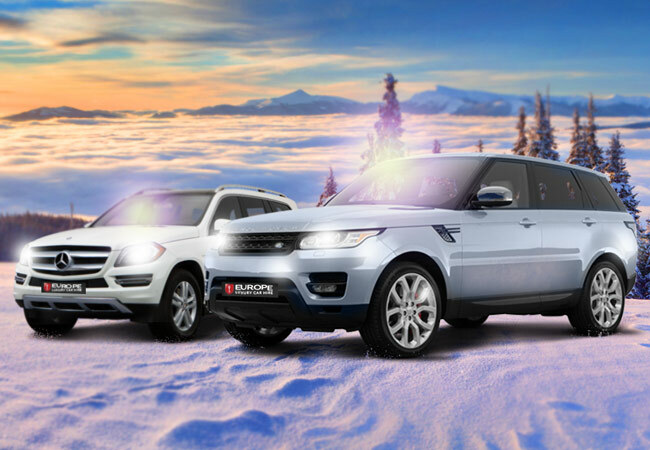 Why not consider a luxury car rental as the perfect gift for your better half to enjoy over the Christmas season? We offer the preferred choices, a couple for him and a couple for her. You take the pick. With exceptional snow quality and some fantastic ski pistes that allow for great spins down the mountain, the Swiss Alps is known for its skiing holidays the world over. But the truth is, the Swiss Alps offers far more than just skiing. For those who love a spell of fashion, enjoy culinary delights or like to kick their heels up in a wild night out, Switzerland’s top ski resorts don’t fail to deliver. 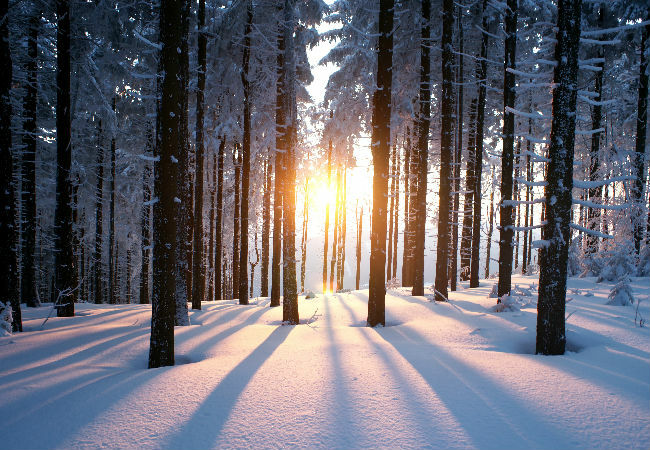 Winter in Bavaria is any romantic’s paradise amidst wondrous snow laden scenery. With no lack of options on what to do, go skiing to your heart’s content, spin down hill on a toboggan ride or hike through spruce and fir trees. Revitalise and rejuvenate at one of the many wellness centers where many highly crafted and exotic treatments are available. Of course there is no holiday without the culinary highlights, and Bavaria shows off the best of its local talent over Christmas time. “I love Cannes in the Winter!” Sure, it’s not what you generally hear, but then that’s what seems to make it one of the city’s best kept secrets. It’s the chance to basque in all the glitzy candour without the hefty prices, take in the stunning views without the crowds, be admitted into the most exclusive clubs without the wait. And yet do it all, whilst enjoying a climate that, let’s face it, is still a lot warmer than the place you probably call home. A futuristically designed cosmopolitan oasis in the middle of the Arabian desert, Dubai has quickly become a world class destination. Located in one of the world’s wealthiest countries, the opulence and lavishness in Dubai is inescapable, from fancy restaurants to world-class hotels, A-rated entertainment and of course, luxury supercars adorning its roads, one wonders what the 13th International Motor Show will debut this upcoming November. A relative newcomer on the F1 circuit, the much-anticipated Formula One Etihad Airways Abu Dhabi Grand Prix 2015 is fast approaching. Now in its seventh year, the UAE’s Abu Dhabi Grand Prix is the largest event in the Middle East’s sporting calendar and one that has proved popular with drivers and motor-racing fans alike. Described by F1 President, Bernie Ecclestone, as “one of the most exciting tracks I have ever seen”, the exceptional Yas Marina Circuit certainly puts the drivers and their cars through their paces. It’s around this time of year that your last summer vacation begins to feel like a long lost dream. Now is the time to take that tranquil weekend getaway, immerse yourself in the beautiful colours of autumn, under a soft warm sunlight to revitalise and rejuvenate. 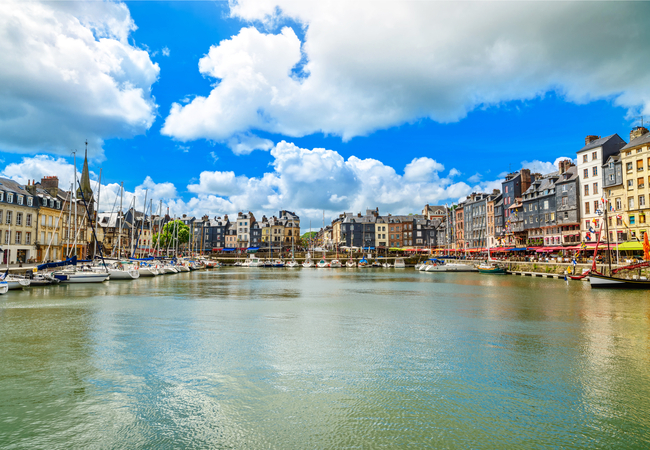 Here is our top 3 European destinations, to do just that. The immensity of luxury to be found in Italy is as colourful and varied as the palette of any one of the country's great renaissance artists. Possessing flavour of every character, there are numerous ways to experience a luxury drive throughout the country that stencils a leather bound Prada boot. 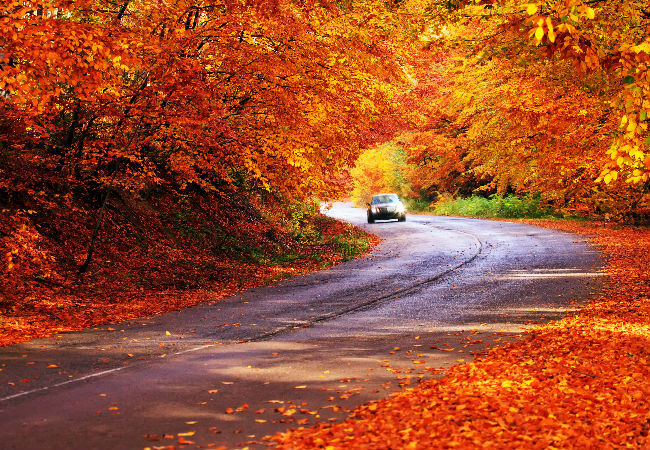 The mere thought of autumn in Europe conjures up images of beautiful rich colours and gentle sunshine. 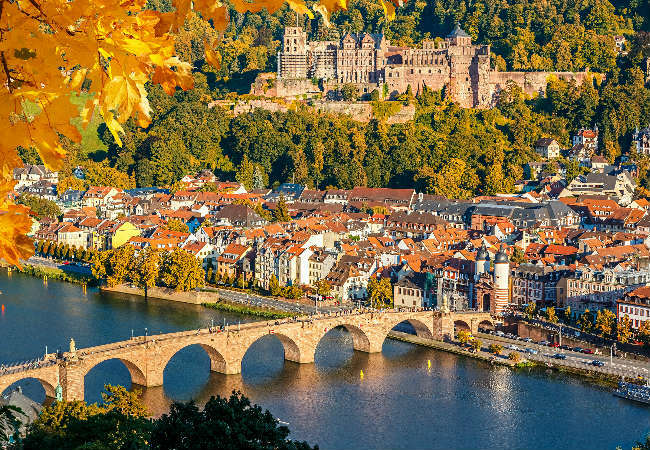 In Germany, autumn is the season of wine and harvest festivals, of lazy afternoons visiting grand castles and exciting cultural events in the major cities. Whether you want to take a scenic drive in a supercar or be seen at one of Berlin’s best art galleries, we have some suggestions that will warm your soul before winter sets in. 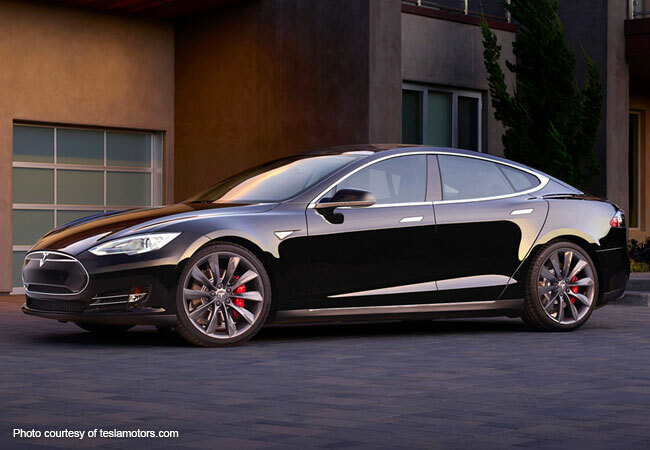 The luxury all-electric vehicle market has pretty much belonged to Tesla for the past several years, however, all signs suggest that Tesla will soon have to share the spotlight. 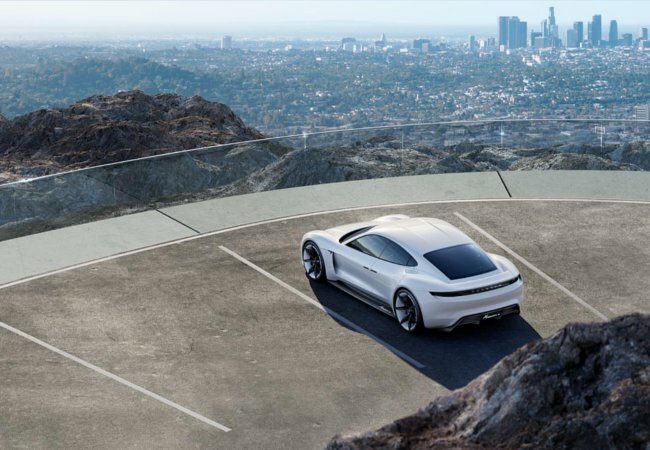 Many automakers are looking to venture into the EV market and our favorite runner-up is the Porsche Mission E. Unveiled at the 66th motorshow in Frankfurt last month, the Mission E is set to inspire a production car within the next three years. When winter calls and the ground is blanketed with smooth white snow, get ready for the adventure of a lifetime. 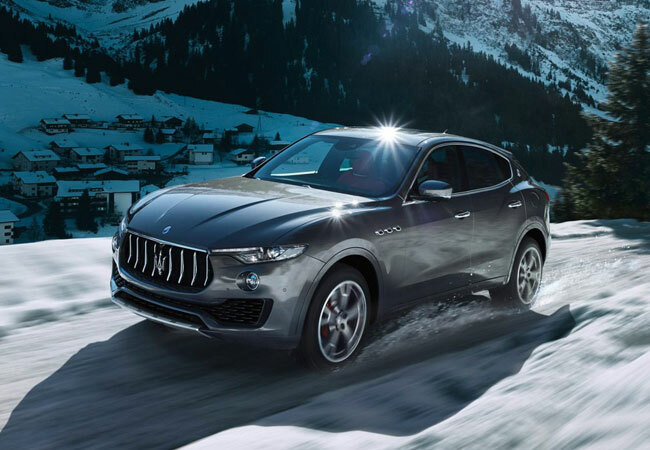 Face the infamous mountains of Switzerland’s most renowned ski resorts and carve your presence on and off the slopes as you make your grand arrival aboard one of our luxury 4X4 SUVs. Dubai has a knack for the extravagant and over-the-top, from ultra-modern buildings and enormous aquariums to luxury super cars and gigantic water fountains and the activities on offer are no exception. Get your adrenaline pumping and dare to try the best and most exhilarating activities in the world. Plan your extreme Dubai holiday and get ready to quench your thirst for thrills. Unlike Australia’s early pioneers, exploration can now be enjoyed from the comfort and unabashed style that comes with driving a luxury car. The pure veracity of space gives motorists the rare opportunity to push pedal to the metal, as they claim the road as their own. Fast and formidable, there is potentially no better way to pursue the star lit southern cross than with a supercar that’s destined to achieve great things. For over six decades the Italian luxury sports car manufacturer Ferrari, has established itself as the benchmark in the sports car and supercar manufacturing sector, delivering ever changing technology and innovation. 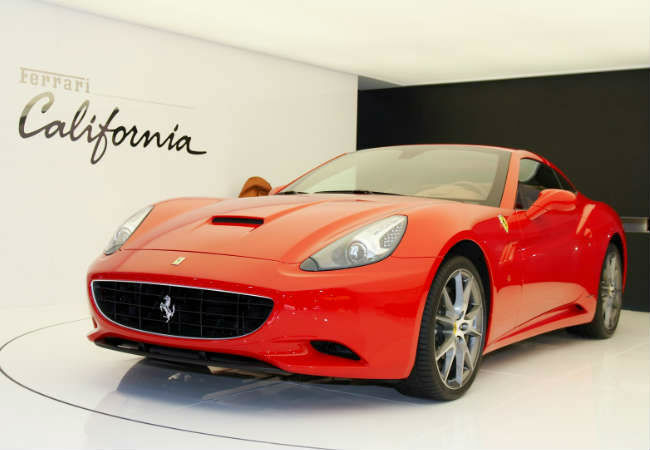 Come 2017, the Prancing Horse will debut a multi-fit architecture based on a modular platform that will first be implemented in the fabulous Ferrari California, but that it intends to eventually implement across a large portion of its vehicle lineup. You’ve heard the saying “you only get one chance to make a good first impression”. Make sure your first time is memorable with the help of our how-to guide for first-timers (first-time visiting Dubai that is), as part of our three-part series on Dubai. 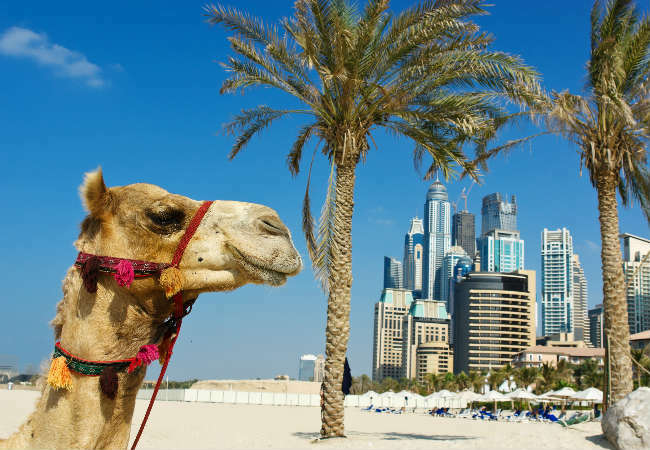 From phenomenal activities that will get your adrenaline pumping, to awe-inspiring attractions that seem greater than life, family-friendly entertainment, best hotels to stay in and the most amazing places to eat, we cover it all so you can make the most out of your holiday in Dubai. Discover a world of contrasts in Abu Dhabi. From the enigmatic beauty of the Arabian desert to the turquoise waters of the Persian Gulf. A breathtaking modern skyline of architectural wonders moulded over deeply rooted Arabia’s Islamic customs. 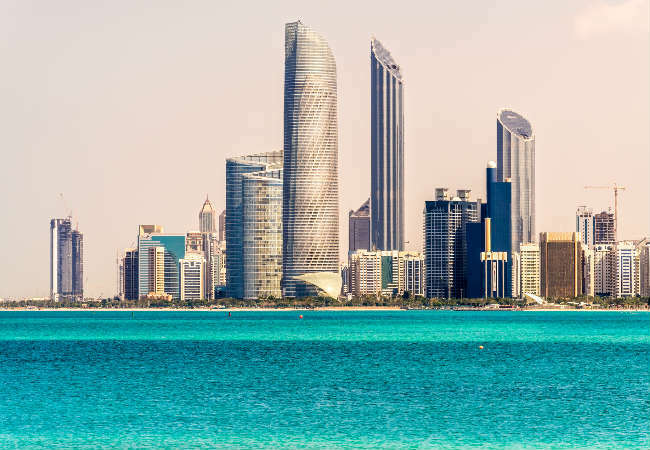 Abu Dhabi has managed to develop a slick and modern capital that maintains its ever-present emirati flavour, creating a captivating blend of tradition and progression. Everyone at Europe Luxury Car Hire, from the marketing team to the sales crew has been trying to figure out what is it about the Audi R8 that has clients requesting it more than any other car in our line. To try to figure out why, we asked some of our R8 aficionados who have rented the R8 both in Spyder and Coupe model, and the reasons are nothing less than surprising. 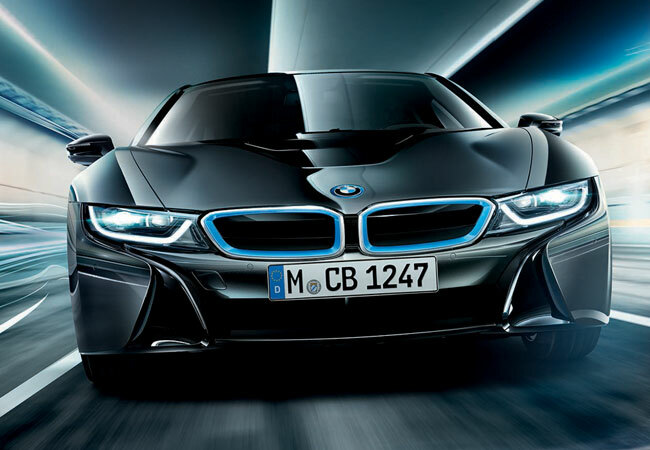 The strange case of the BMW i8 is well documented and highly thrilling. 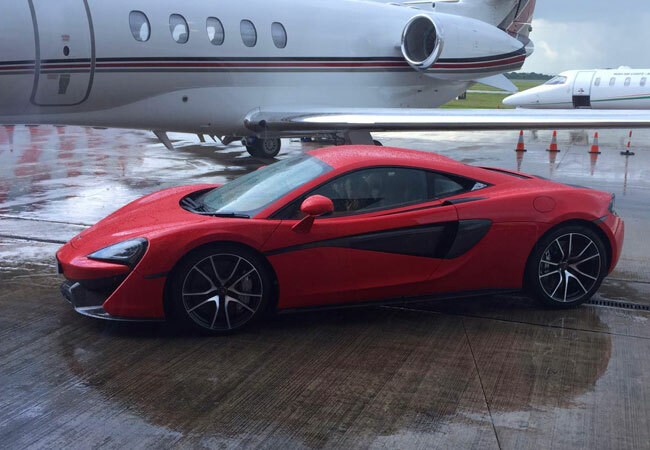 In the shadows of the London underworld Ethan Hews has direct exposure to the dual personality of this supercar. Built with a powertrain that simultaneously draws energy from an electric engine at the front axle and a petrol engine located in the rear, it possesses an irresistibly complex character. A disorder shared by the infamous Dr Jekyll and Mr Hyde who coincidentally prowled the same streets of London as I did. 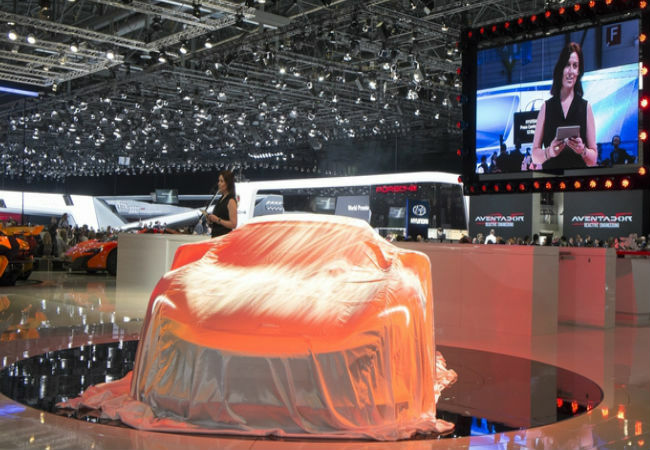 The 66th International Motor Show (IAA) , the world’s largest motor show and the year’s most exciting metal unveiling event is taking place this upcoming September 17th to 27th in Frankfurt am Main, Germany. Get all the details to visit the motor show and make the best out of your stay in Frankfurt, including where to stay, where to eat, how to buy your tickets and what cars you should be keeping an eye out for. Paris (and its surroundings) are always a good idea. 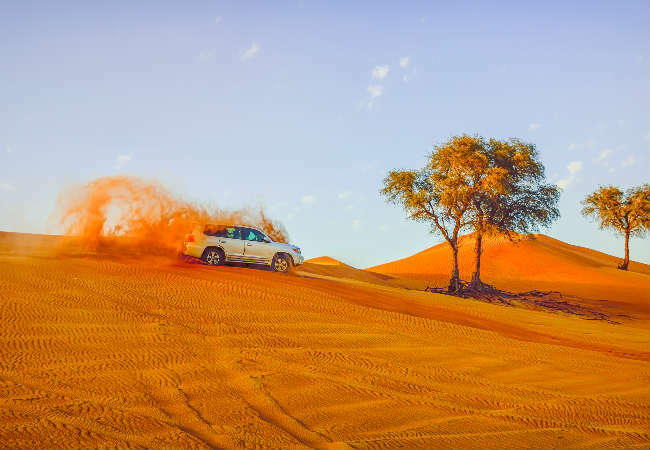 Add to it the incredible summer special rates we are currently offering on our luxury car rentals and you have the perfect recipe for the adventure of a lifetime. 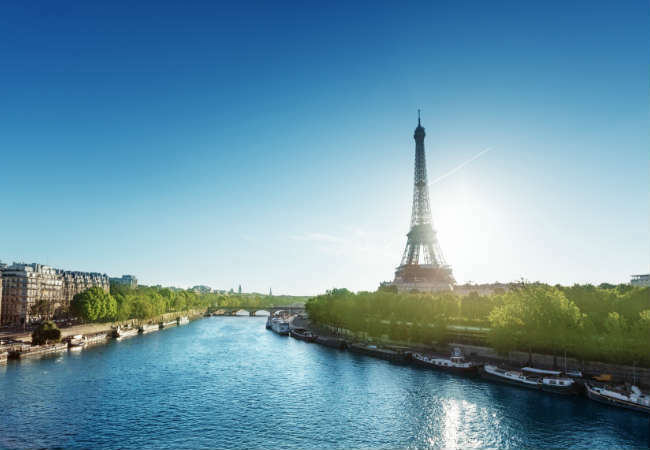 Put your luxury car rental to the test of speed and prowess as you take on the country roads that lead to some of the most spectacular places on the outskirts of Paris. 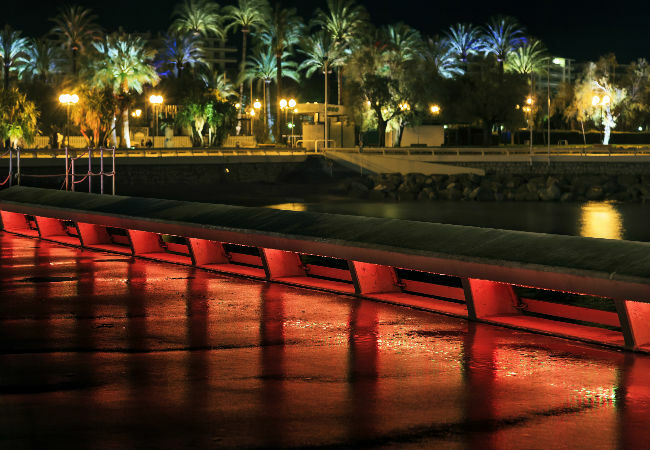 Arrive in Malaga Airport and get ready to enjoy the chic, sun-drenched Costa del Sol. 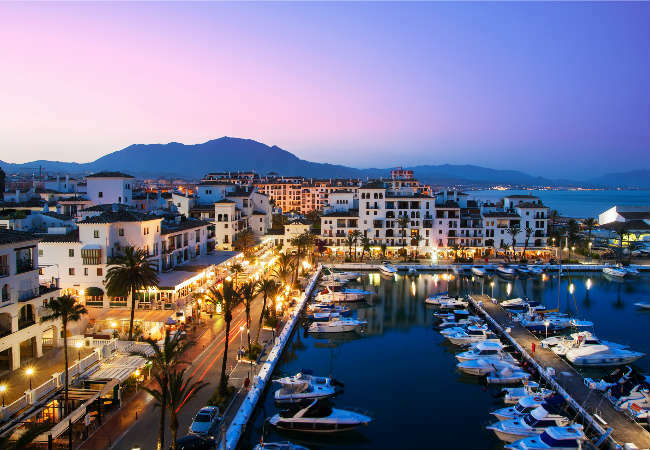 White sandy beaches backed by by the stunning Sierra Blanca and dotted by luxury villages, five star resorts, fancy restaurants and star-studded beach clubs make up the little heaven on earth we have come to know as Marbella. To enjoy your holiday to the fullest, we have listed the top 10 things to do in this beautiful stretch of coast. Bring your dreams of driving a fabulous sports car to life. 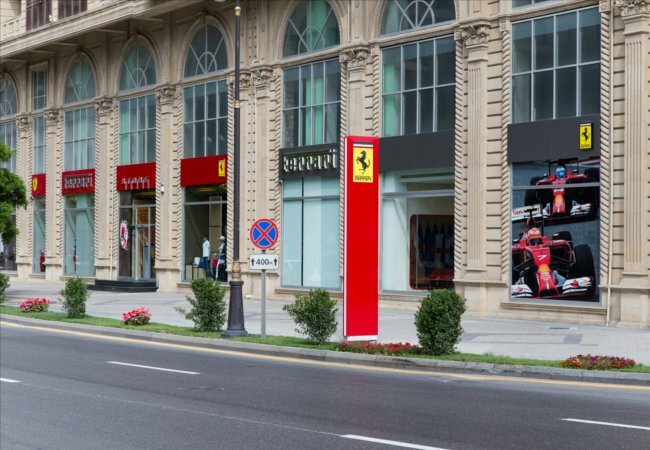 Experience the thrilling adventure of driving a Ferrari on the race track, cruise around the scenic Italian countryside or push pedal to the metal in the Ferrari F1 Simulator at the Ferrari Museum in Maranello. 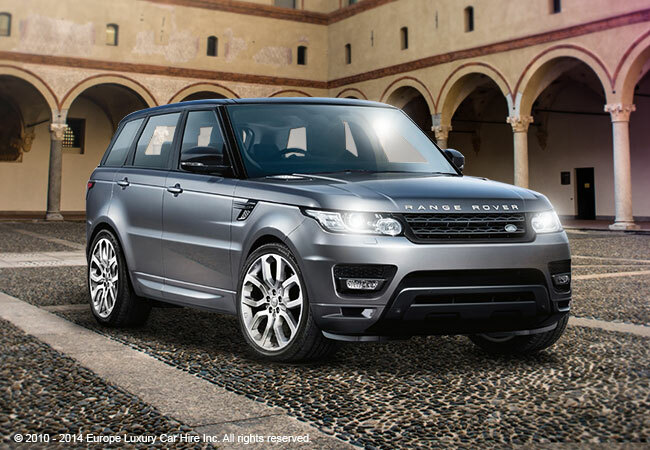 Combine your passion for cars with Italy’s stunning backdrop, fabulous shopping and delicious food and enjoy the adventure of a lifetime. In Italy, stunning landscapes abound. 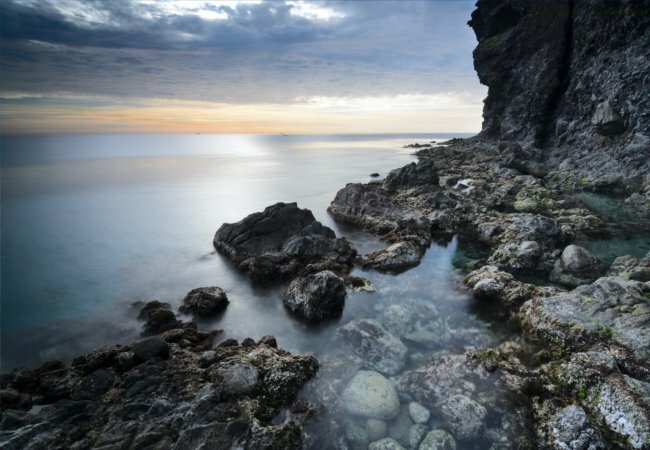 From sun-bathed rolling hills and vineyards, to rugged and dramatic coastal panoramas. This summer, get on board the Porsche Boxster Cabriolet and explore the magnificent coastal roads of Italy, from enchanting fishing villages to idyllic white beaches and wild lush mountains that cascade down to the sea. In this article, we unveil Italy’s top 5 coastal drives, from the top of ‘the boot’ to the very heel. Sardinia is a little bit of what dreams are made out of. Idyllic beaches covered in the whitest of sands and lush, wild vegetation cascading down into the bluest of oceans. Stone-aged ruins, vertiginous trails, adrenaline-packed adventures and lounging by the sea are all mixed into one beautiful, contrasting slice of paradise. Top it all off with some of the most delicious and freshest seafood around, and you’ll see why I fell in love with Sardinia at first sight. 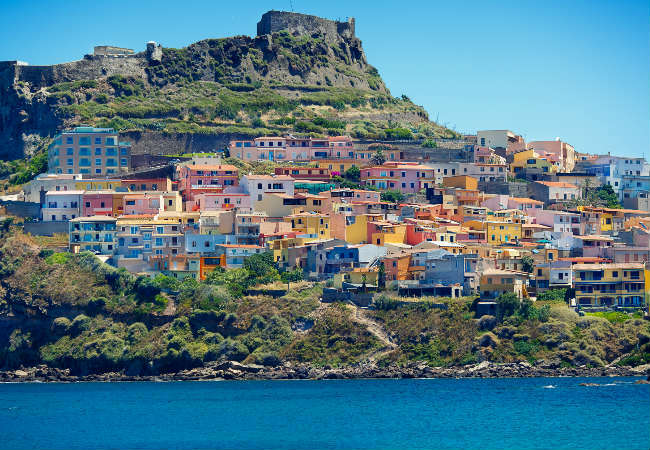 The astonishing Italian island of Sicily offers an overflow of extraordinary sights and things to do. Having been home to every great Mediterranean civilization, Sicily abounds with well preserved ancient ruins, a rich history and art. Swim in the ocean and take in the view of Roman and Greek ruins, hike up or ski down a volcano, cycle through the island or scuba dive in crystal clear waters. 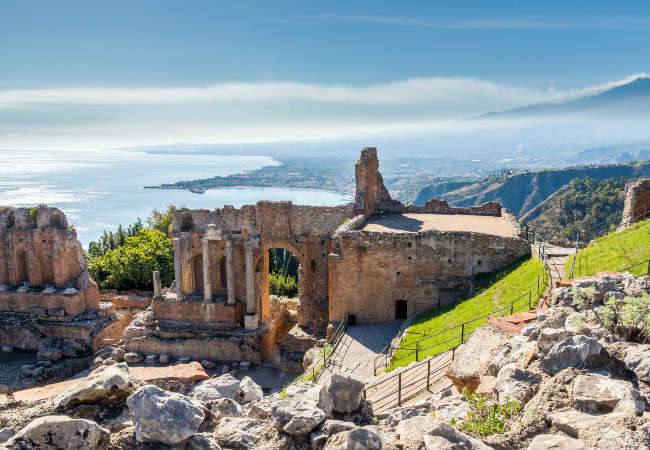 Make the best of your holiday in Sicily with our top recommendations for things to do, sites to see, food to eat and hotels to stay. With the summer already here, the time for sun and fun has arrived and with it, Europe’s greatest festivals. With pretty much every European city holding their own festivities, it is hard to choose where to celebrate summer, so to help you out, we have listed the top 5 European festivals. 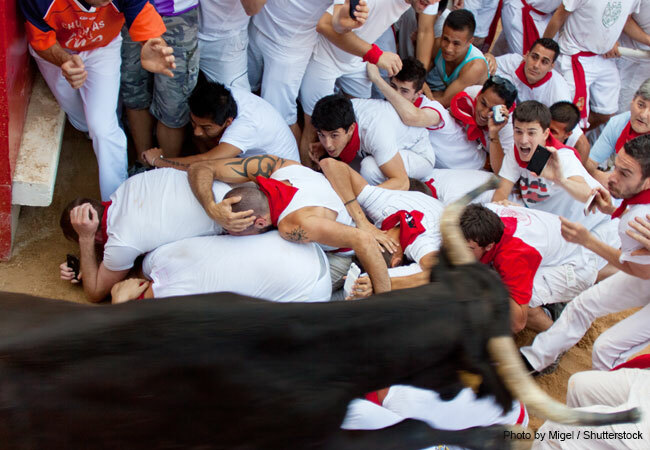 Witness the gruesomeness of Calcio Storico Fiorentino, the people’s bravery during Fiesta de San Fermin, the greatest food-fight of all time in La Tomatina, fun for all at Notting Hill Carnival and the greatest dance party of all at Tomorrowland. Have you planned your summer holiday yet? Why not consider planning another one? After all, life is short, the summer is long, the time is ripe and the warm summer weather is just begging to bring you outside. With some sensational summer deals on hiring luxury cars in tourist cities across Europe, it’s difficult to find a reason not to go. Put those Ferragamo driving shoes on and let’s hit the road. 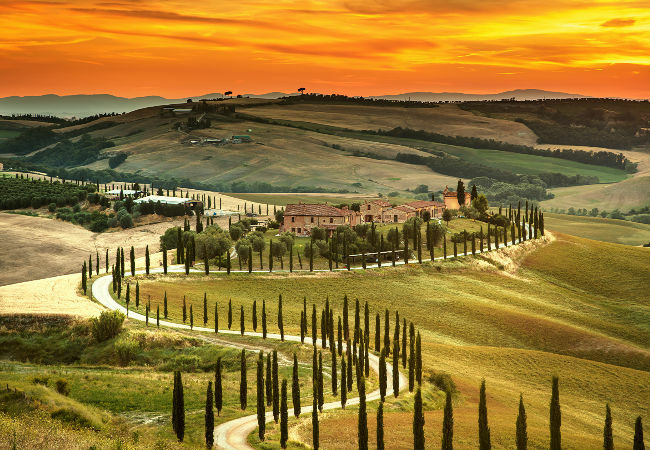 Live your dreams and let the wind caress your hair as you drive through the beautiful region of Tuscany savouring the delicious food and wine that the region is famous for. Acquacotta soup in Maremma, Brunello di Montalcino, Pecorino di Pienza, home-made pastas in Montepulciano, delicious sweets in Siena and wine and saffron in San Gimignano. Indulge all your senses with a gourmet tour under the Tuscan sun. It is a truth universally acknowledged, that a single man in possession of a good fortune must be in want of a luxury Range Rover Sport. 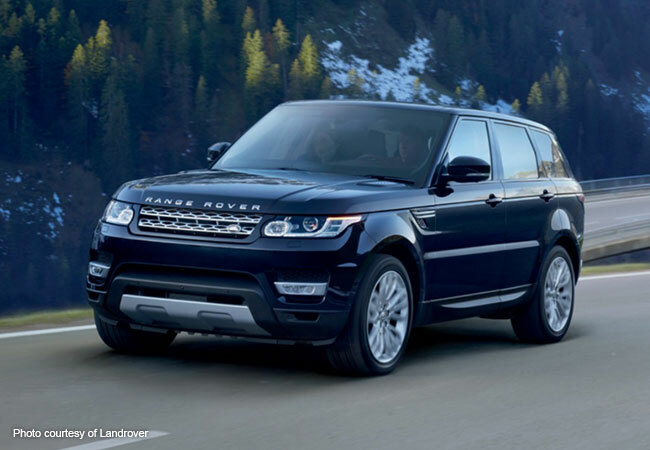 For a limited time only, we’ve extended this principle to include successful women and enthusiastic fathers, as our Range Rover Sport is currently on special for just £295 a day. 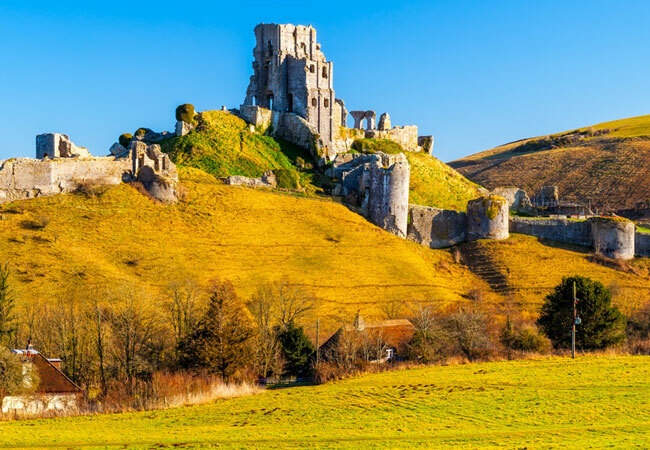 Here is a list of the top 5 destinations that are just a short 30-40 minute drive outside of London, and resonate deeply into the British cultural heart. Ever wanted to know how to enhance the driving experience of your Ferrari or how to maximize all those features that come with a Lamborghini? Pull up a chair, welcome to driving school. If the roaring sound of racing cars speeding through, the sight of expensive yachts, fine cars, beautiful people and the glitziest atmosphere in the world awakens your senses, then there is no better place for you to be at this upcoming 24th of May other than at the most glamorous and prestigious Formula 1 race, the Monaco Grand Prix. 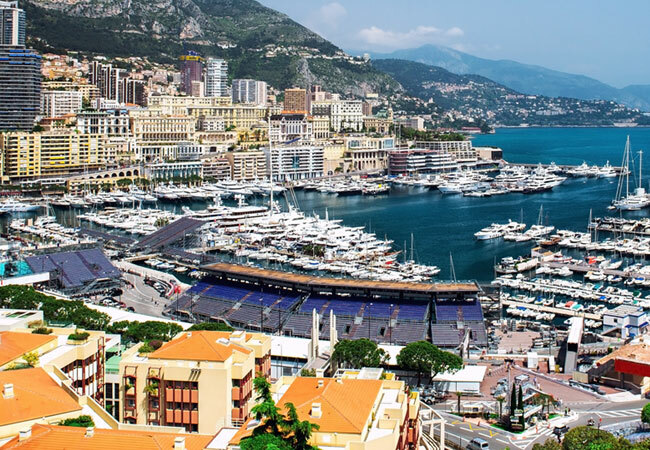 From Grandstand sections to VIP terraces, hotel suites and gourmet restaurants, we have prepared a list of the best places to watch the 2015 Monaco Grand Prix. Indulge in the varied landscapes of the Provence-Alpes-Côte d'Azur region, the medley of delectable foods offered by the area’s imaginative chefs, enjoy the charm of small villages, glide down snow covered mountains and admire the ever glamorous Mediterranean blue sea as you drive the Mercedes Benz SL through rural back roads, stony medieval hilltop towns, glittery ski resorts and the almost utopian coast of the French Riviera. Feel the Mediterranean wind brush your hair as you drive smoothly through the roads of the paradisiac Provence-Alpes-Côte d'Azur. The car of tomorrow has arrived, are you ready for it? 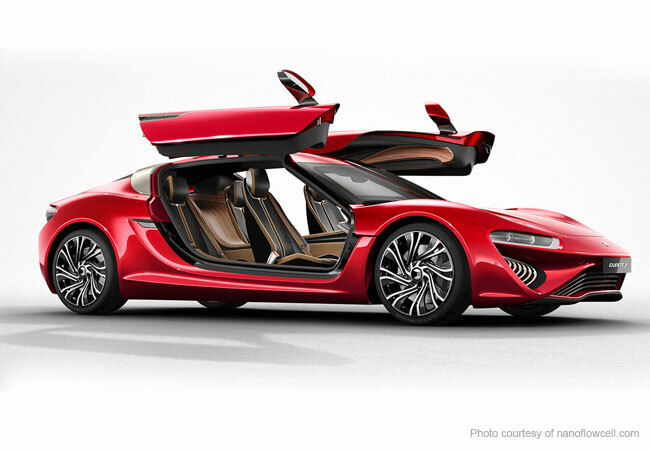 The science behind the Quant F's mechanical engineering really make this electric vehicle stand out. It’s hard not to admire the achievement by NanoFlowcell towards making an environmentally green, pure emission-free car that is super powerful and super-fast. Whilst, the unusual refuelling creates a difficult boundary towards mass production, at the same time, it's the fuel source of this car that really captures our imagination. 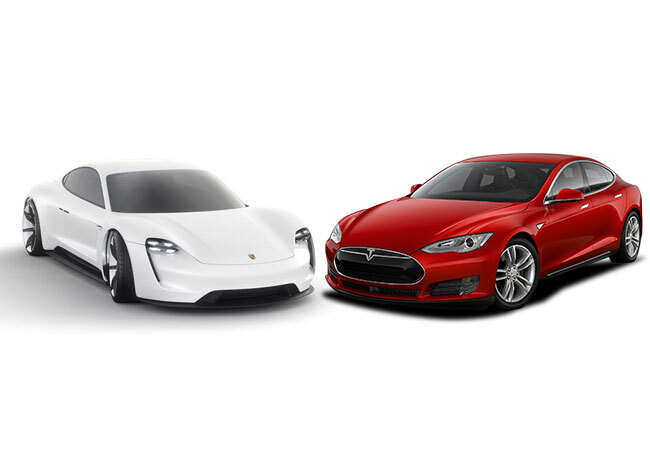 In the first of a three part series, Luxuria magazine will unpack the best and the most exciting electric/hybrid cars that are expected to revolutionise the automotive luxury car industry. 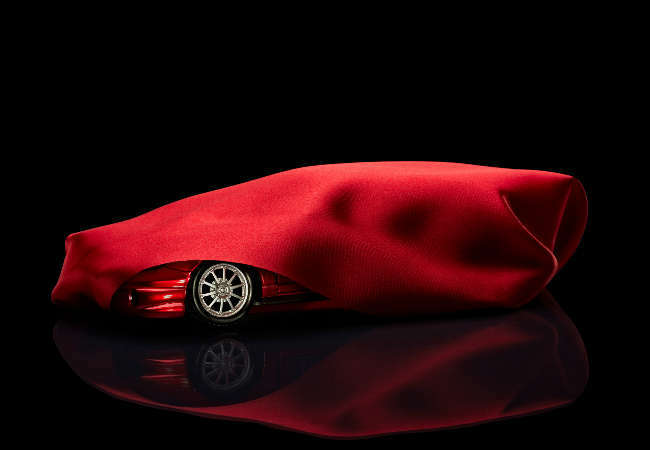 Ethan Hews begins with Tesla’ s Model S.
From trendy hues snatched right from the fall-winter runway, to design house logos being stitched on the seats’ leather, ‘couture cars’ are popping up in auto shows around the world. As we find car manufacturers rubbing elbows with fashion designers, we are listing here some of the most successful collaborations. Verbier is the skiers “seventh heaven” across the 4 Vallées in Switzerland and it is recognized as one of the most prominent "off-piste" resorts in the world. With steep slopes, varied conditions, incredible snow quality and the glitziest resort culture in Europe, Verbier has thrilling sporting opportunities for skiers and non-skiers alike. After a full day of white powder adventures, take advantage of an après-ski life like no other. It is said that you haven’t done après-ski until you have done après-ski in Verbier. Whilst the Brussels 2015 Auto Saloon may well be over, we were particularly spell bound by the Dream Cars selection, as the world’s biggest luxury automotive marquees sent their most enthralling mascots. Here’s the wrap up. 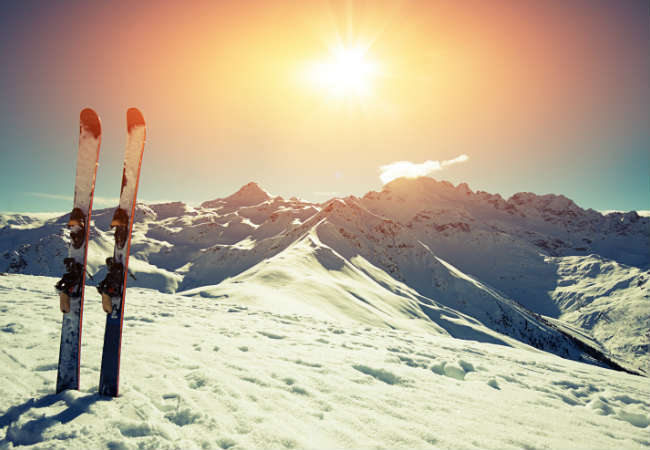 Winter is just around the corner, and that of course means ski season! 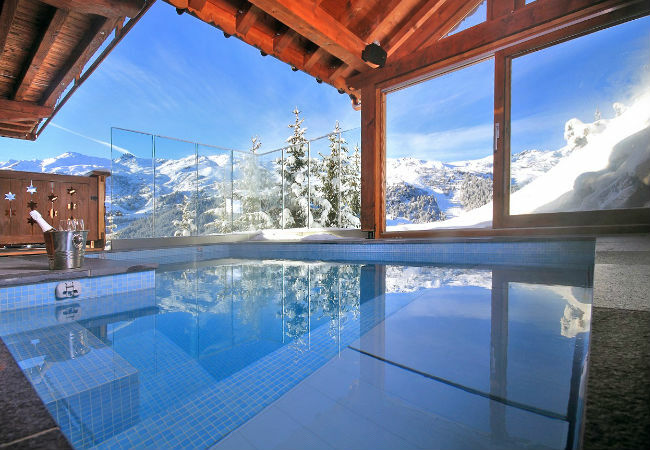 To help you book the most sensational ski holiday we have handpicked the five best ski chalets from amongst the wide selection to be found at the exclusive resorts of the Trois Vallees. 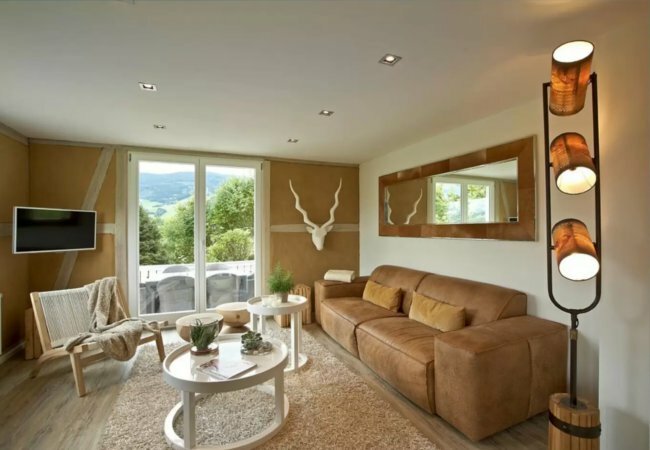 These chalets were selected for their unique features, be it the opulent luxury it offers their guests, outstanding views of the snowy alps or their unique avant-garde design. The Maybach Marque is stating its claim in the world of automotive luxury cars. 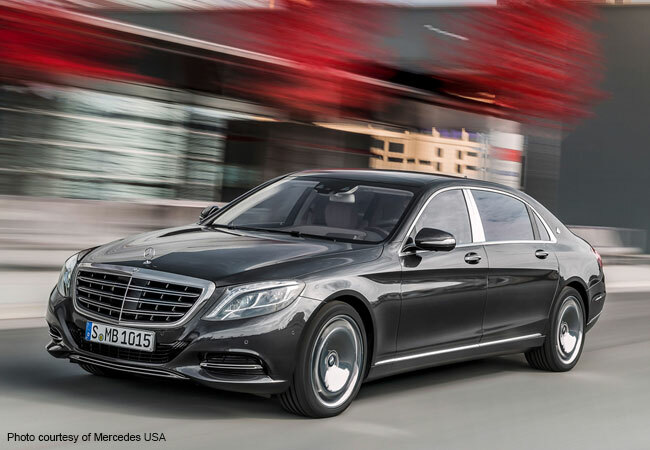 Having launched the Mercedes Maybach S-Class at the November 2014 Los Angeles Auto Show, the follow up Pullman is expected to make a world premiere in March at the 2015 Geneva Motor Show. 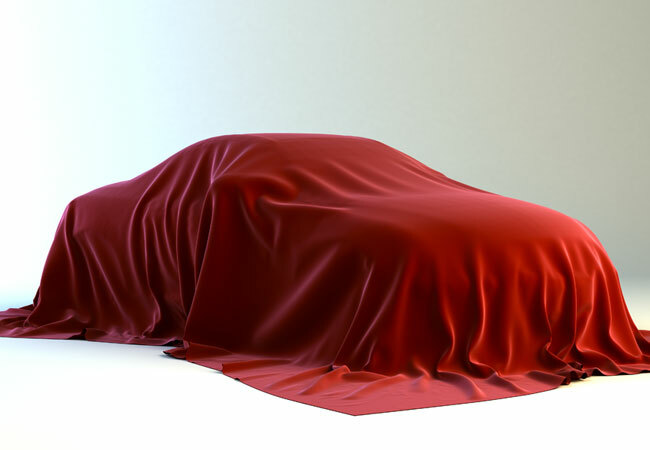 The Geneva International Motor Show is due to be hosted on March 5-15, 2015 at Palexpo. 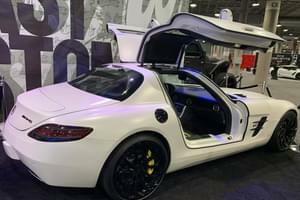 Being the 85th annual expo, the motor show has developed a reputation as "the event" for all car manufacturing firms wanting to launch their newest car models. Milan Fashion Week 2014 might have now left town, but there are still plenty of beautiful specimens visible on the streets of Milan this autumn. Bringing you six of the best luxury cars to be seen driving in Milan this season, Luxuria checks out the top SUVs on the road, present a few flashy supercars from Ferrari and fall in love with the timeless elegance of a large classic Rolls-Royce. 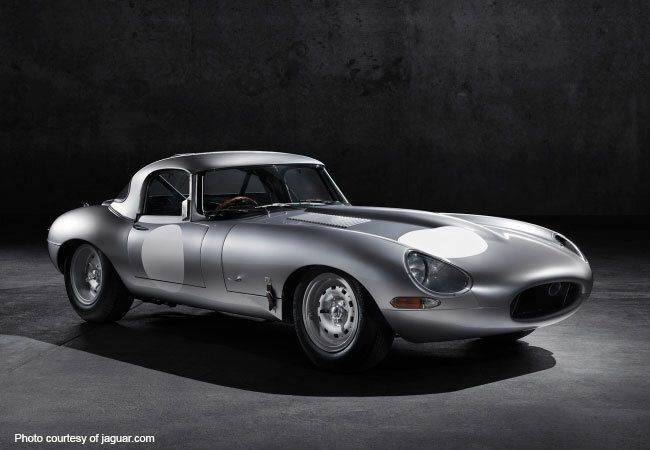 Jaguar Heritage announced it will complete the construction of the missing six all-aluminium Lightweight E-types. Inspired directly by the cars, Bremont releases a beautiful 43mm timepiece, featuring a black dial and a subtle ‘red zone’ quadrant, resembling the RPM gauge found in the original Racing E-Types. The grand opening of the new Monaco Yacht Club by Prince Albert II this June marks the beginning of the countdown towards the superyacht industry’s most exciting event, the Monaco Yacht Show. The opening of the club, attended by its architect Lord Foster, revealed an extended berthing capacity to accommodate the ever-increasing length of luxury yachts. Exclusive masterpieces of timeless luxury have been created through the inspired meeting of classic British car manufacturer Bentley and Swiss watchmaker Breitling. The prestigious Breitling for Bentley range is testament to the passion, precision and expertise of both Bentley and Breitling, masters of meticulous design and engineering. 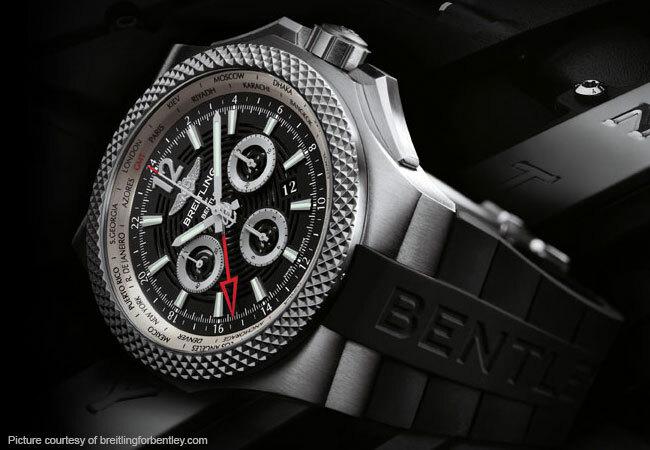 The Breitling for Bentley range of luxurious timepieces is one to watch out for. How do you improve upon perfection? 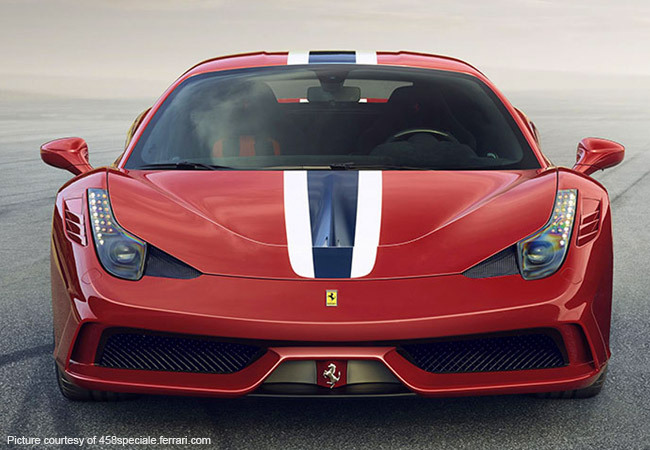 This is the challenge Ferrari engineers achieved with the unveiling of the new Ferrari 458 Speciale at the 2013 Frankfurt Motor Show. 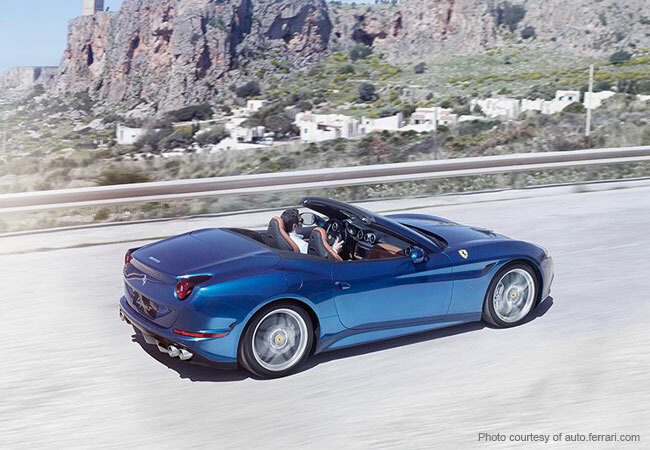 Whilst according to Ferrari's Chairman Luca di Montezemolo, the 458 Italia and convertible 458 Spider continue to be in strong demand, there has been much excitement around the latest Ferrari to hit the road. Test-drive the supercar of your dreams in the motorcar wonderland of Modena. 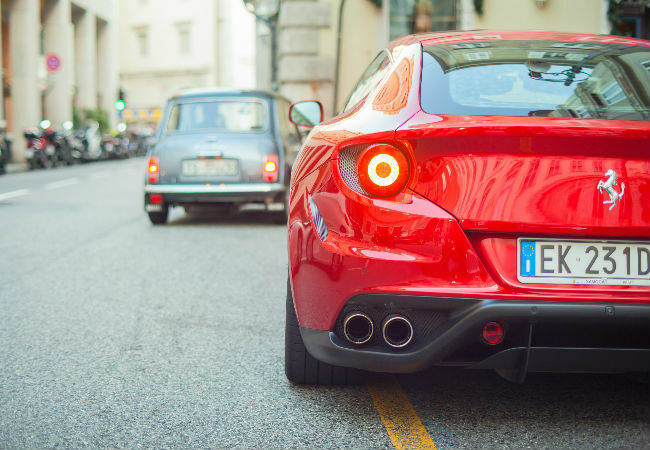 With brands like Ferrari, Lamborghini, Maserati, Pagani and De Tomaso to set your pulse racing, a visit to the centre of the Italian automotive industry is the ultimate luxury car enthusiast’s pilgrimage. Experience supreme elegance from behind the wheel of a luxury car when you embark on a three-night French Riviera roadtrip. 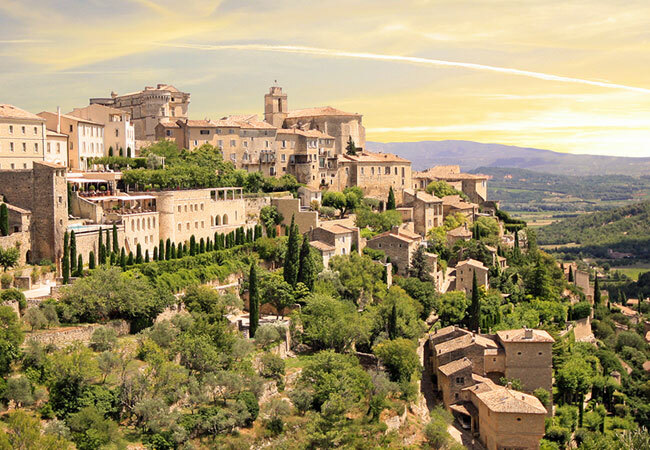 Enjoy beautiful beaches, historic castles, exquisite dining, five-star hotels, glamorous casinos and outstanding views of France’s Cote d’Azur as you travel from Cannes to Monaco, via Grasse, Antibes and St Paul de Vence. Push the limits of style and luxury when you hire one of Europe Luxury Car Hire’s prestigious vehicles on the French Riviera. Welcome to Luxuria Magazine, a leading luxury magazine dedicated to cars, travel, fashion and living the dream. 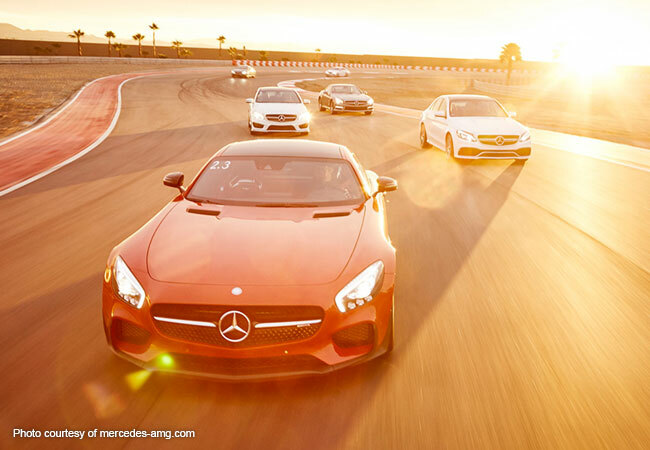 While some may call us petrol heads, we take ourselves as being dedicated to the art of exhilarating cars. Luxuria Magazine, widely read and highly popular, offers highly enjoyable articles on fast cars, best scenic drives and the luxury locations of the world’s most elegant jet setters. 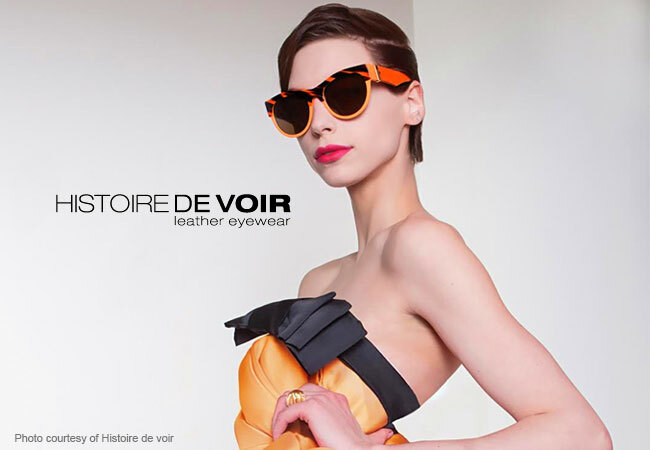 For her, we have the best fashion accessories to be gracing galleries this summer, while for him we offer selections on new luxury watches that possess the latest designs. From France to Germany, Abu Dhabi and Australia, our luxury travel experts give you enticing reasons to travel. 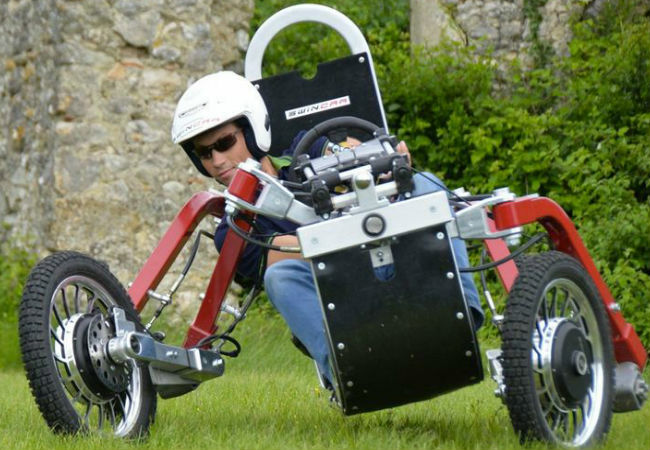 Our love for innovation runs strong as we feature articles about electric cars, driverless cars and the best and newest coming out of motor shows. Putting each of them in turn under the ‘Spotlight’ as we pull out their most exciting features. Our writers travel far and look wide to search for the most engaging and fascinating car news and reviews. Our luxury car news website offers exotic car news on premium cars, fast cars, super cars and sneak previews on the newest cars. Welcome to Luxuria, the world’s premium luxury car magazine. Trust me, you’ll enjoy the ride.